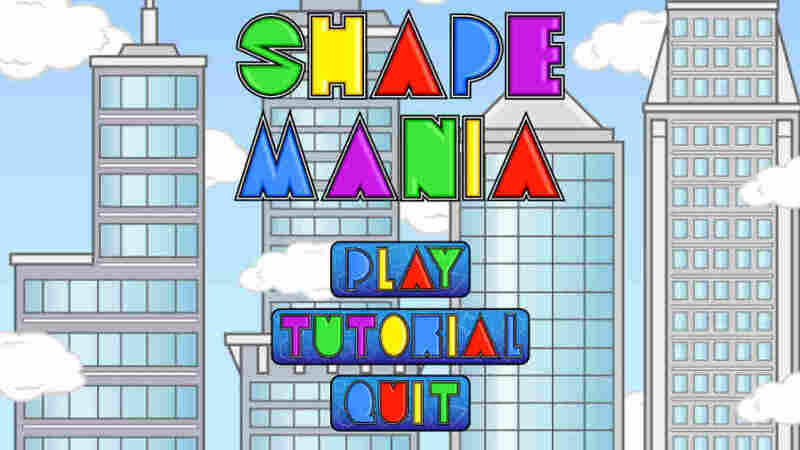 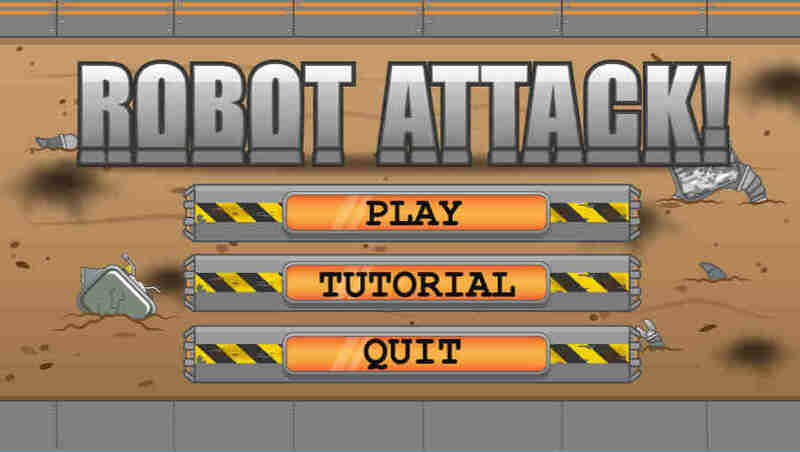 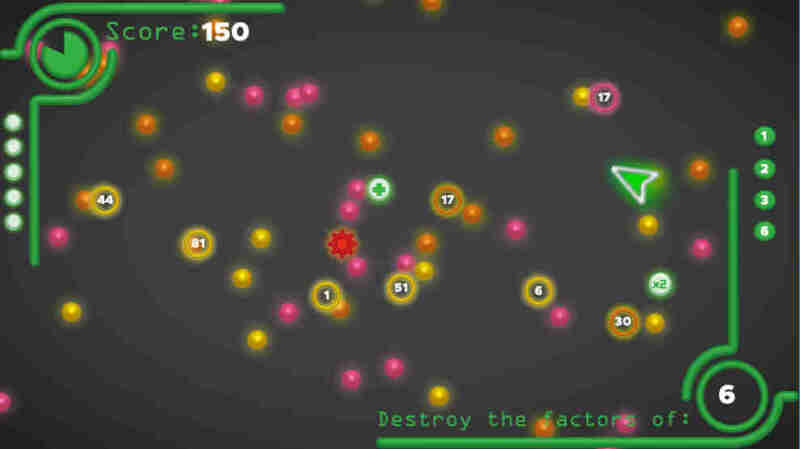 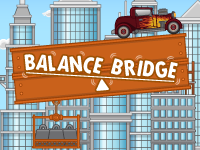 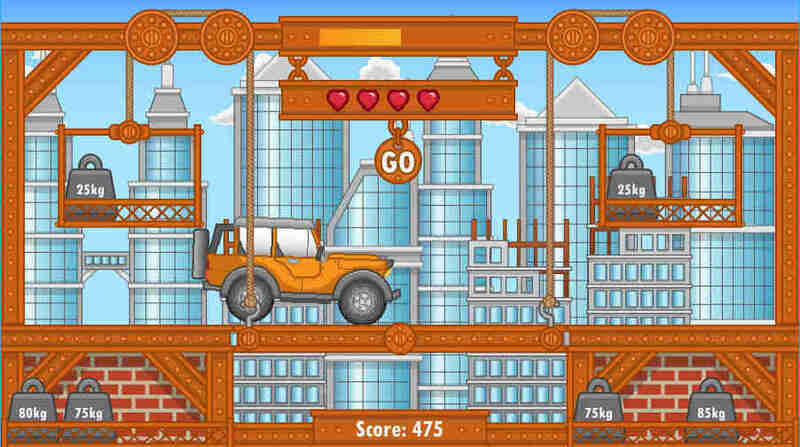 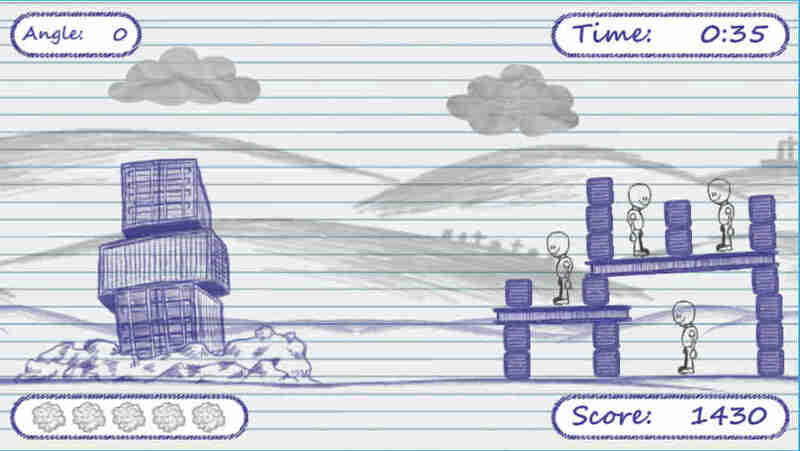 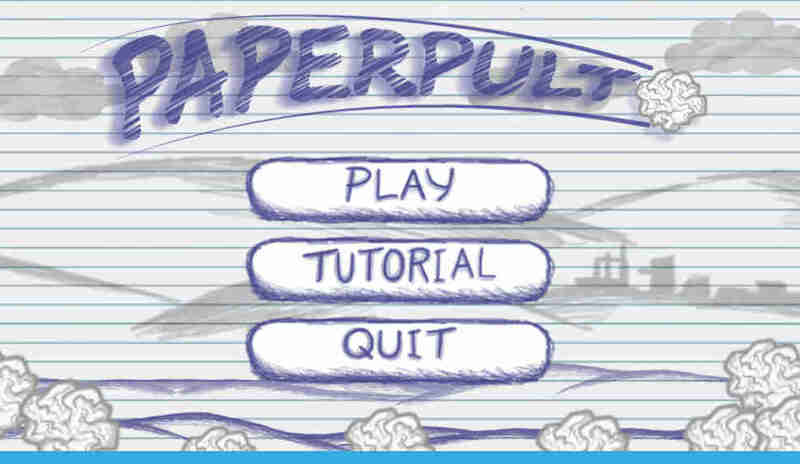 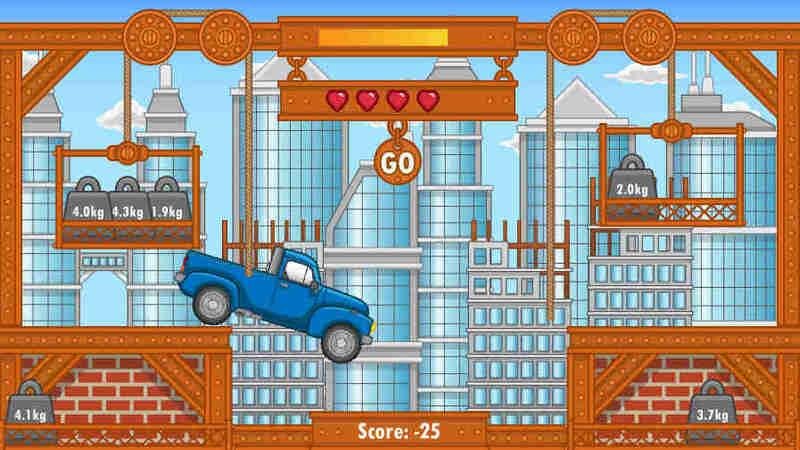 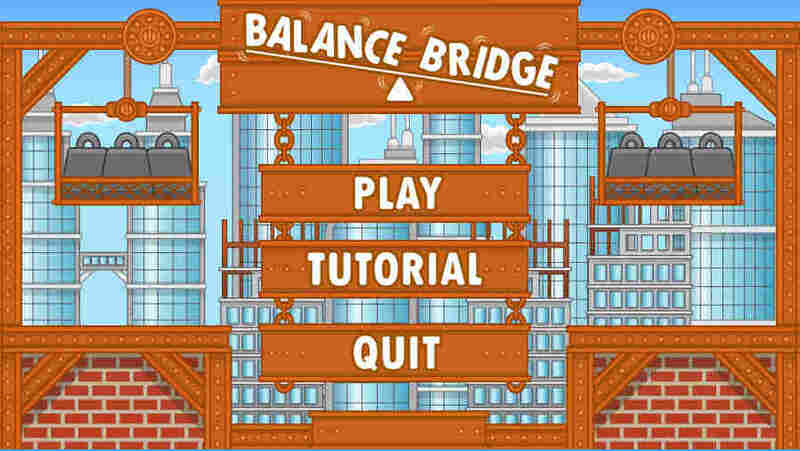 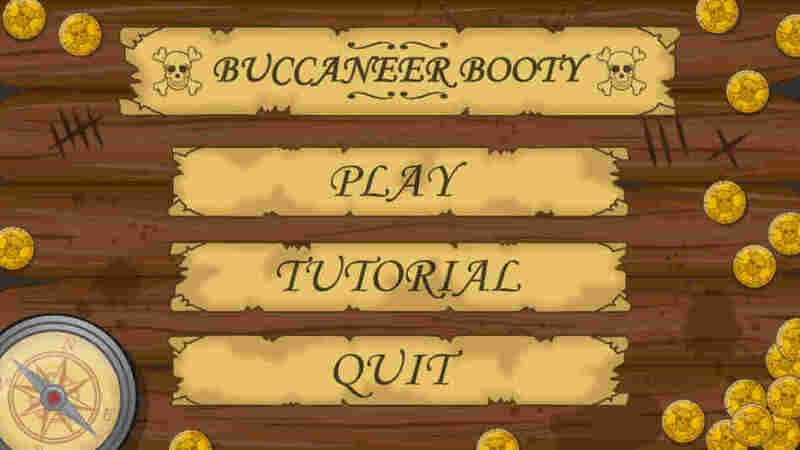 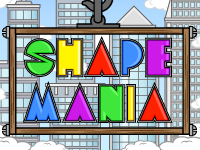 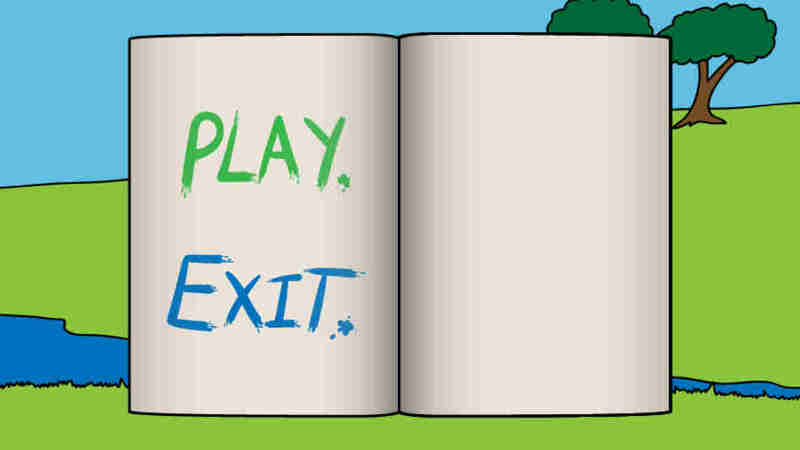 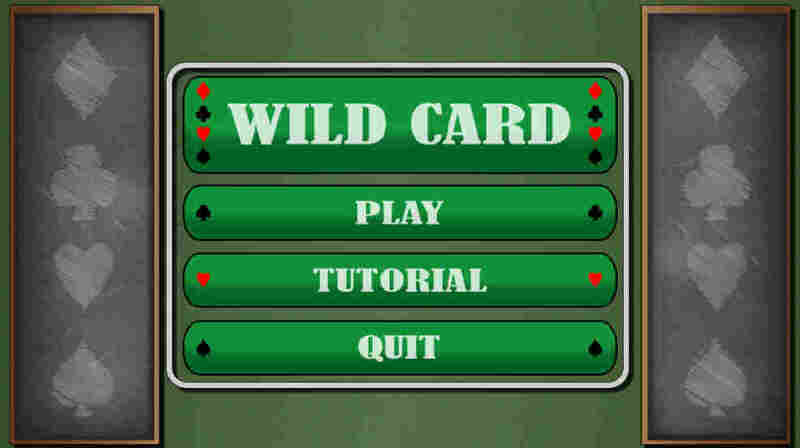 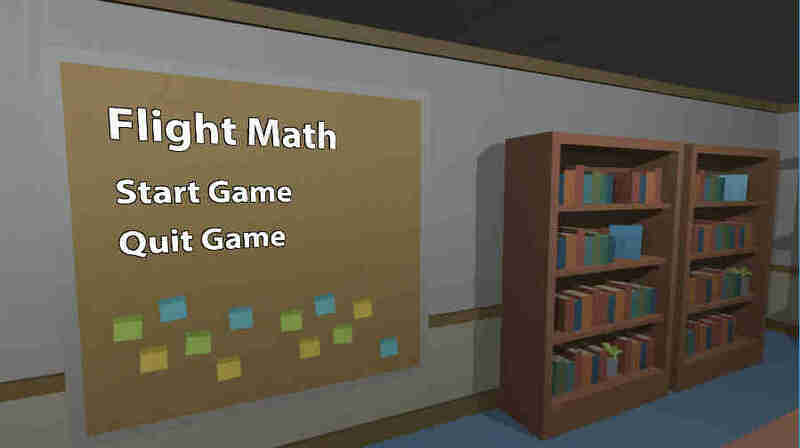 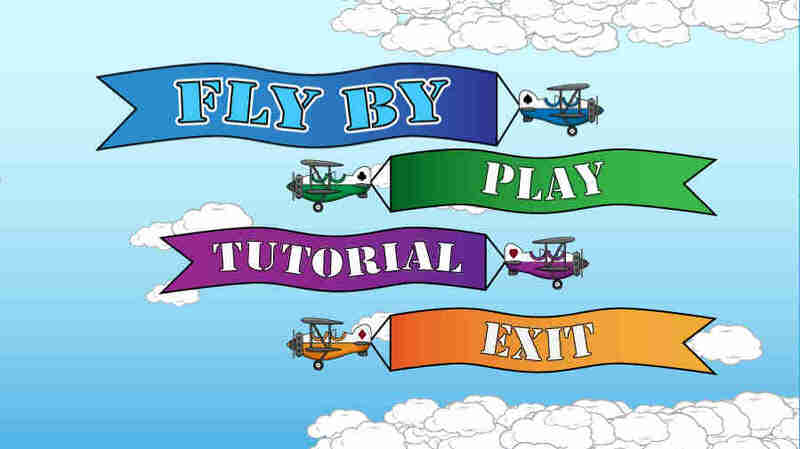 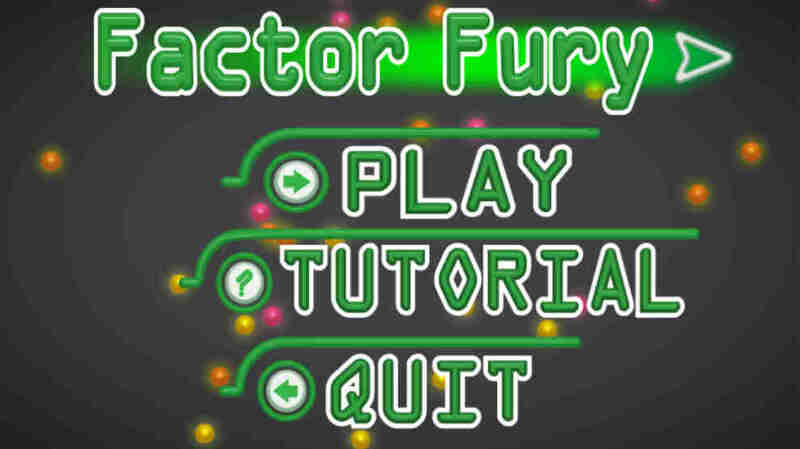 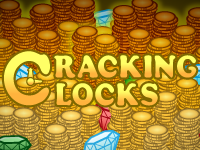 Test your mental agility in this fast paced adding game. 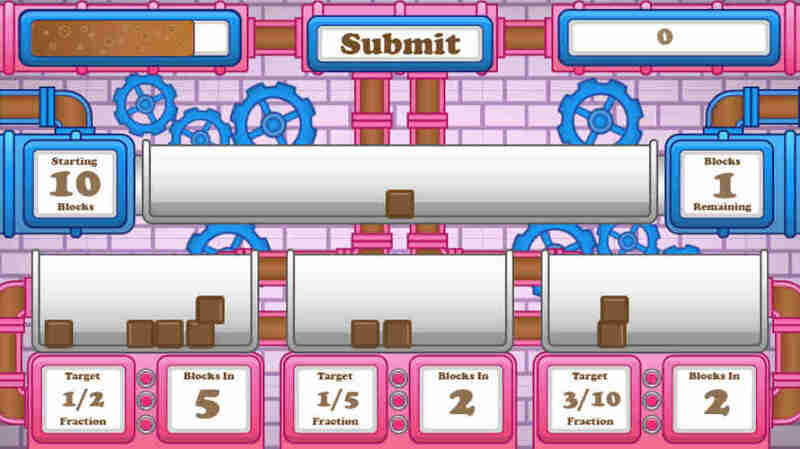 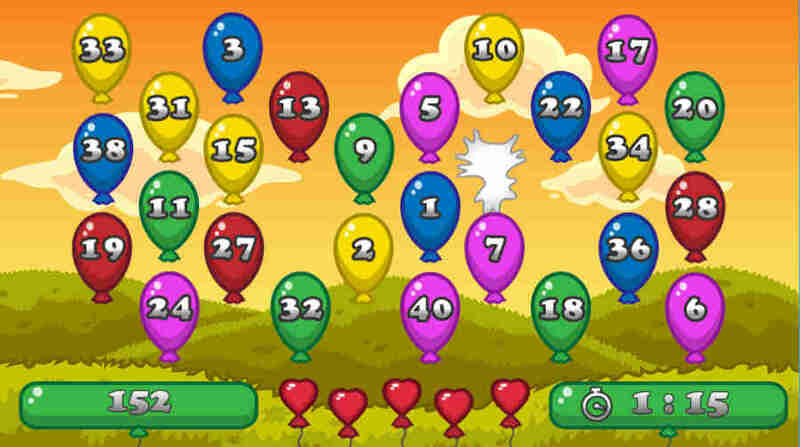 Players will create number chains to reach the target number given. 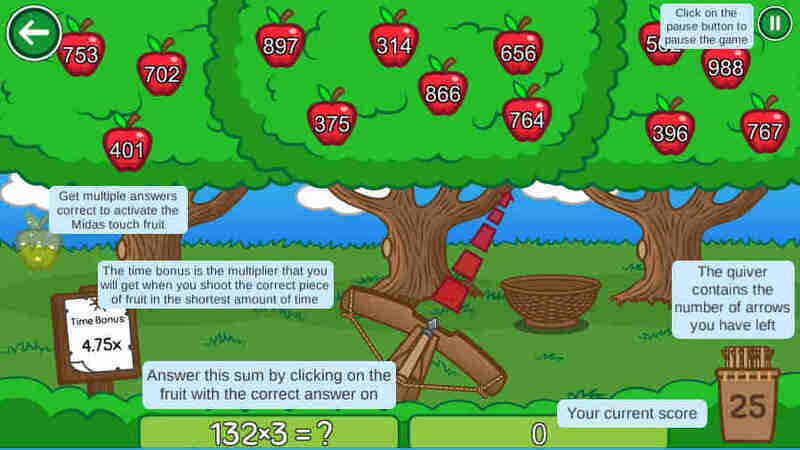 Think fast and make as many of the target numbers before the time runs out. 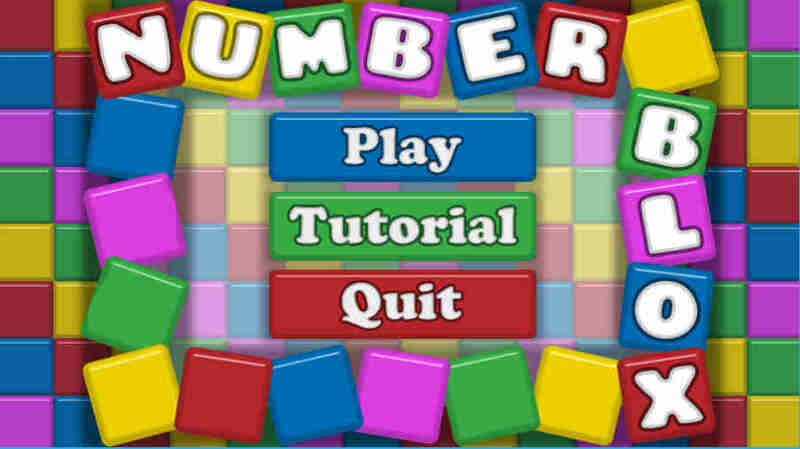 Time for your number skills to be tested by the temple elders. 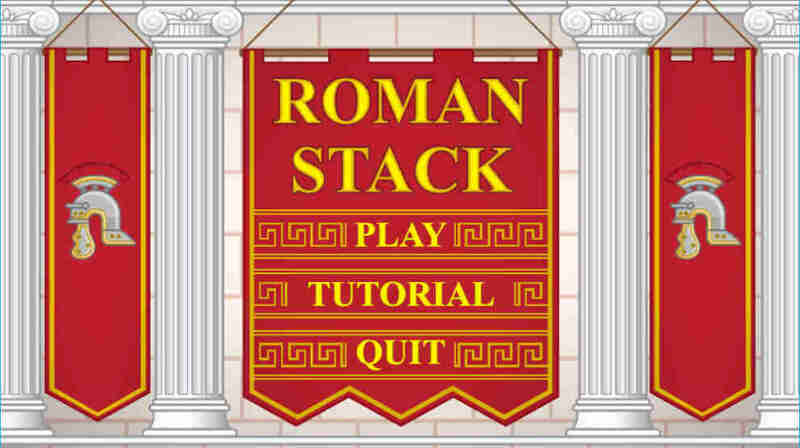 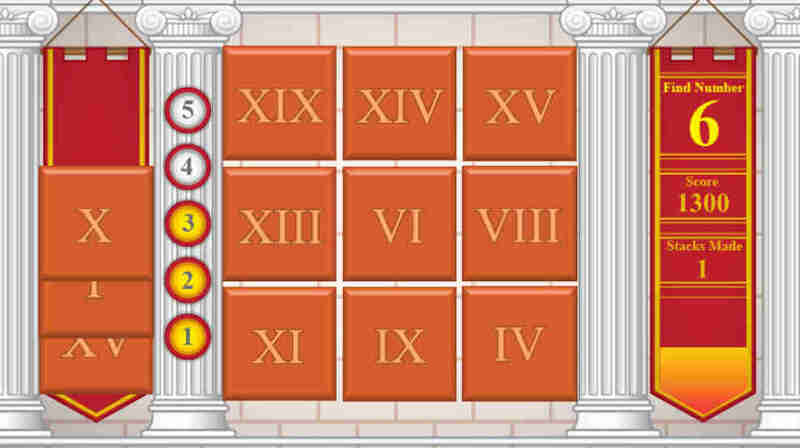 Players will be given a target number that needs to be made with a set of the Roman numeral terracotta tiles. 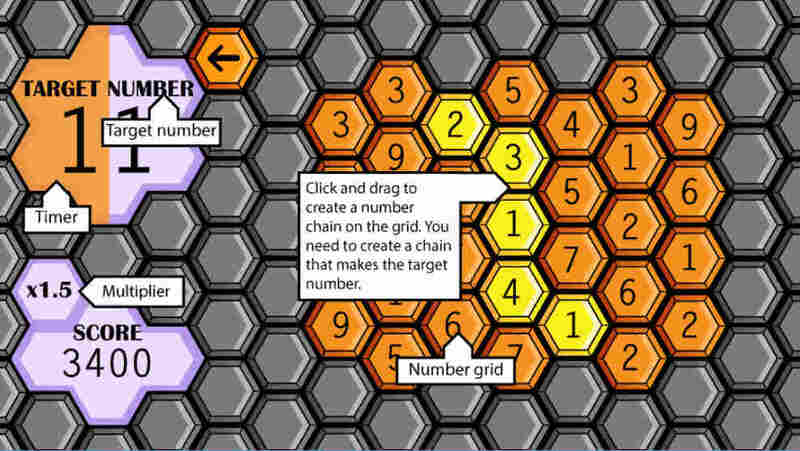 Create number chains which correctly add up to the target score. 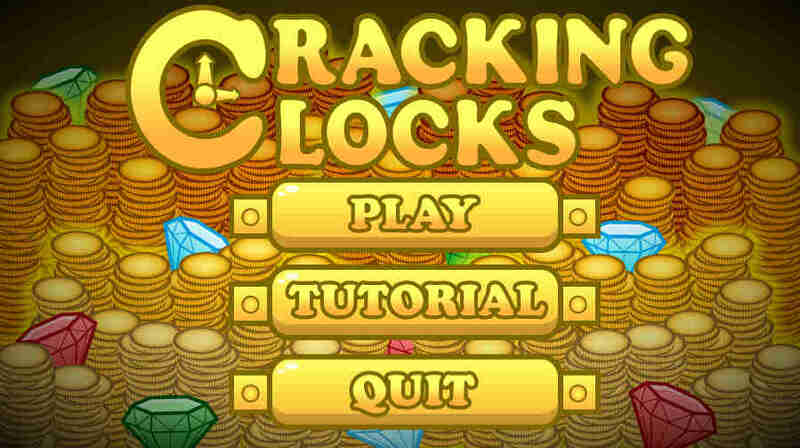 Be quick and make as many as you can before the time runs out. 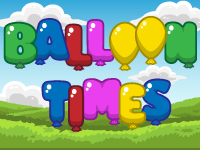 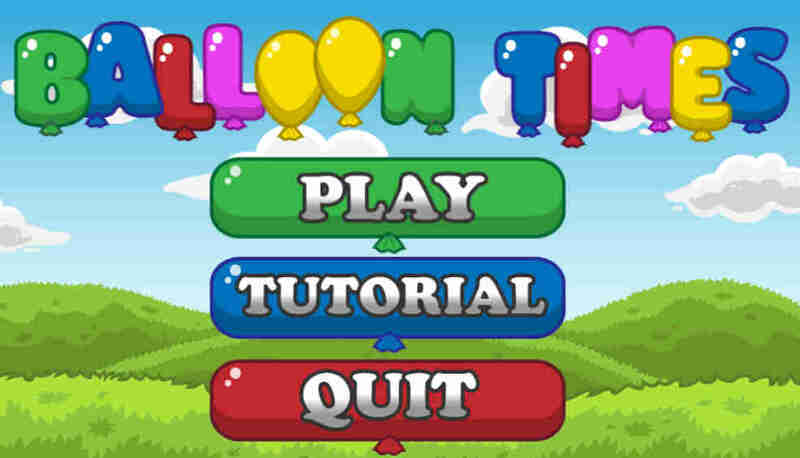 This light hearted balloon game will test your time table’s knowledge. 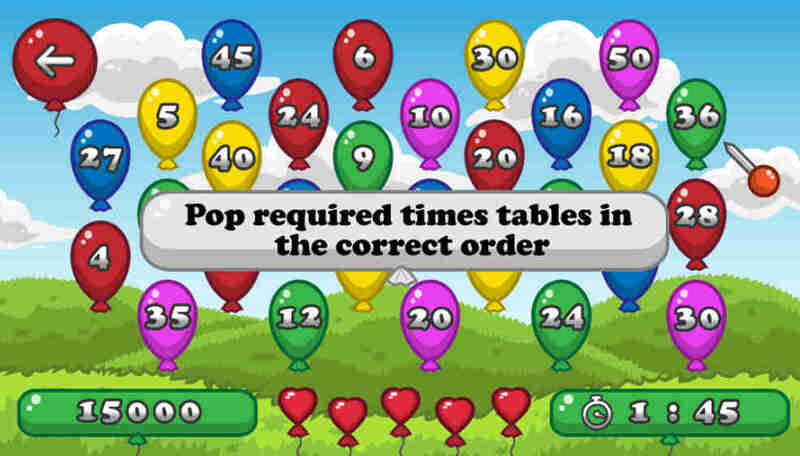 Groups of numbers and you will be given a time table to complete, Simply pop the right balloons in the right order for as many time table targets before the time runs out. 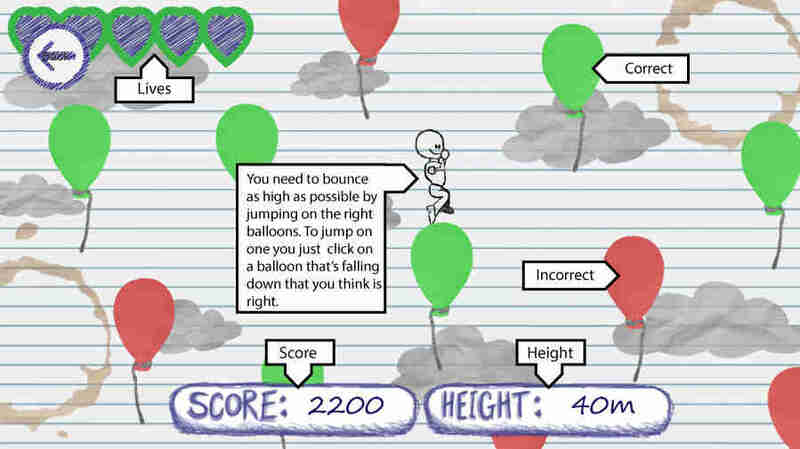 Help Sketch navigate his way up the page in this balloon bouncing page. 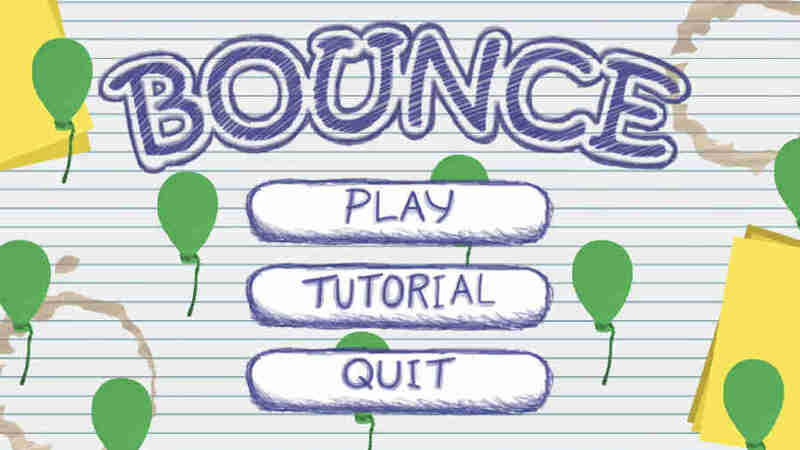 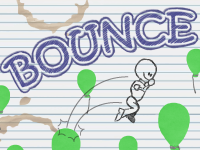 You need to bounce as high as possible by jumping on the right balloons; you might get to the top. 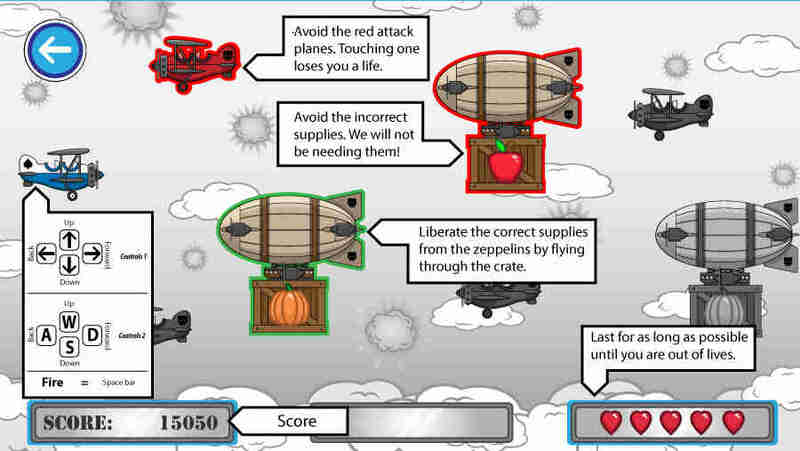 Make sure you don't land on any of the incorrect ones or you may get a hard landing. 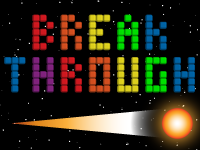 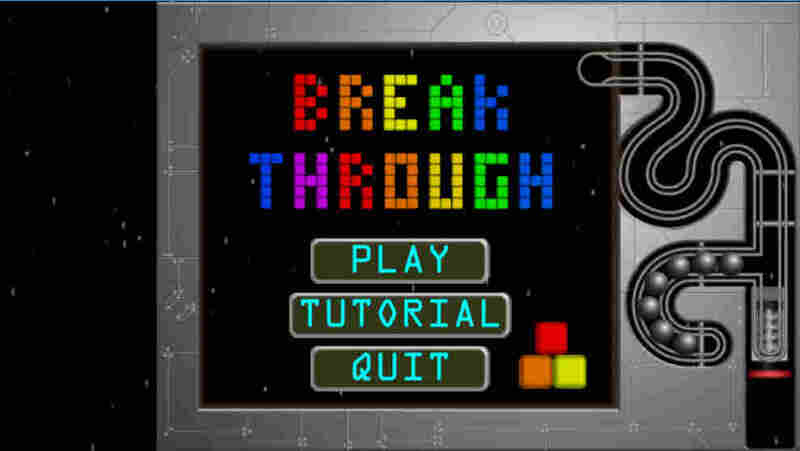 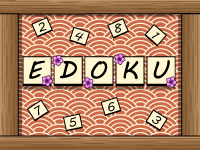 Break through the tiles to reveal images and questions in the game. 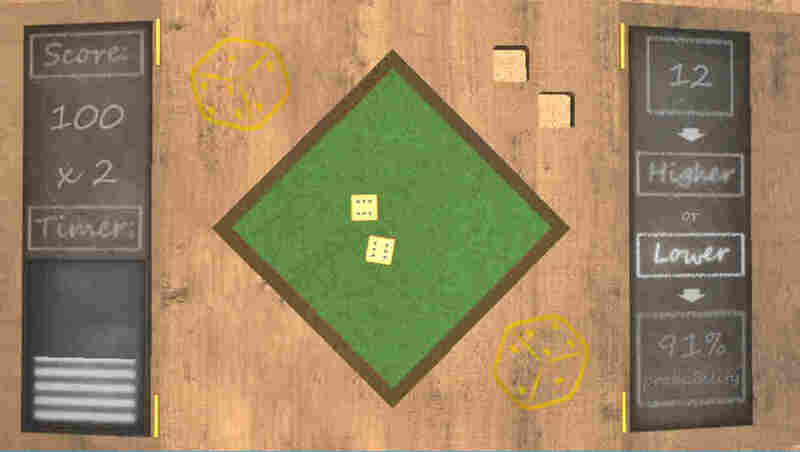 Players can use either one ball or risk them all. 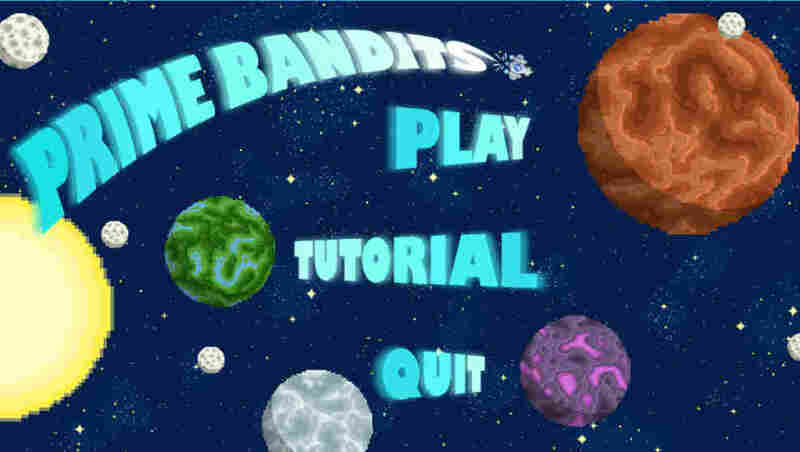 They're three game modes to test your knowledge while you smash tiles using various power-up balls. Players will be given a set of directions. 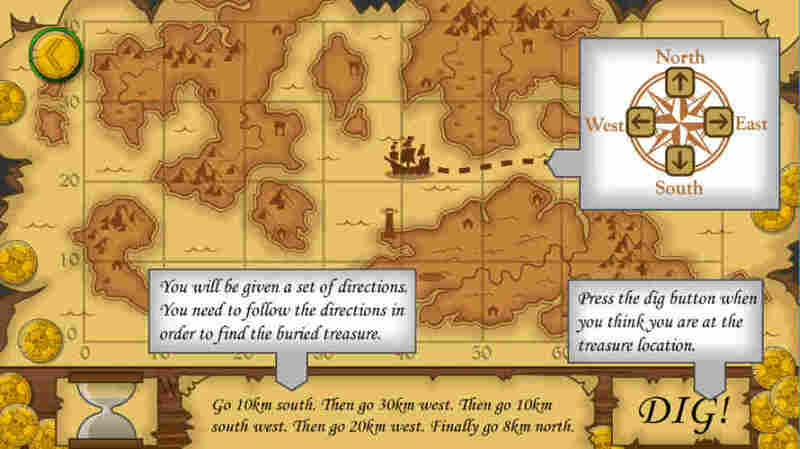 You need to follow the directions in order to find the buried treasure. 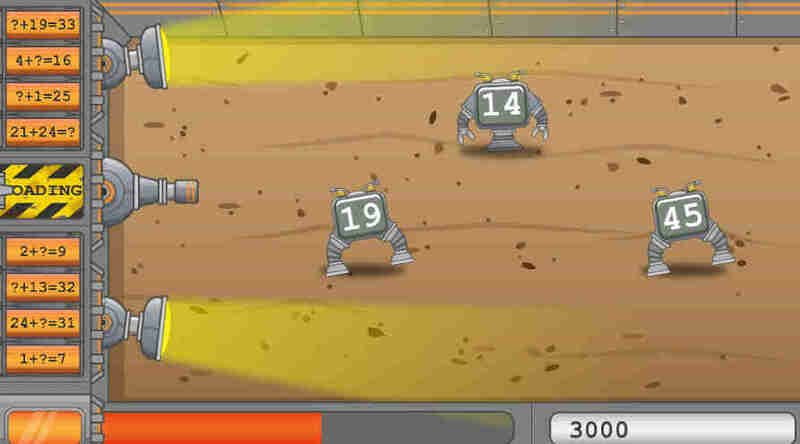 Press the 'Dig!' 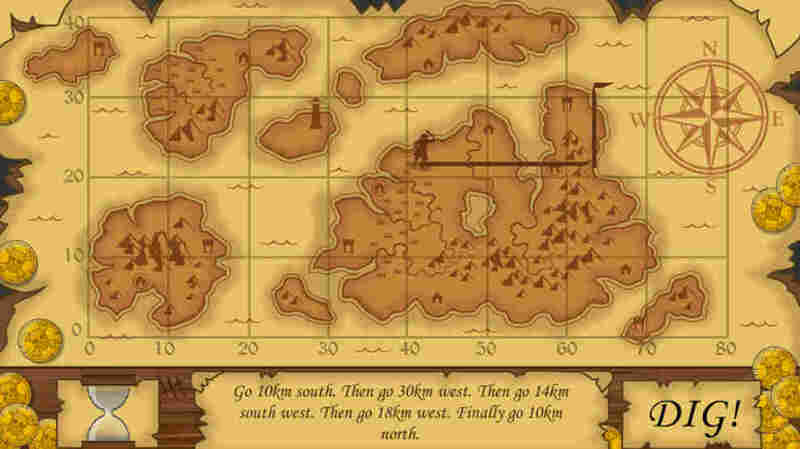 button when you think you are at the treasure location. 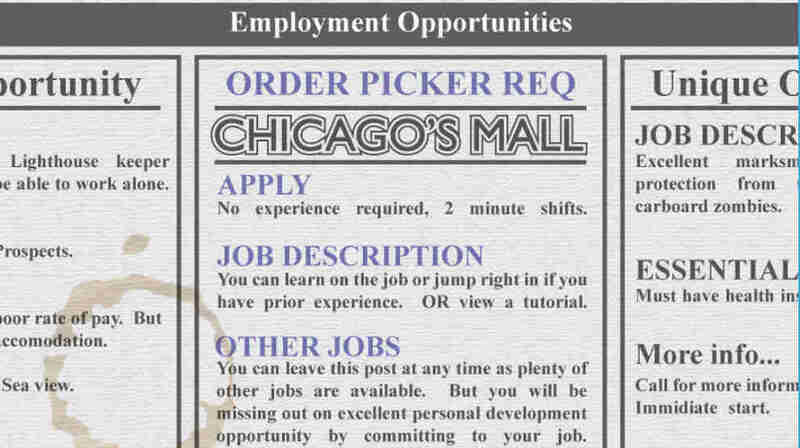 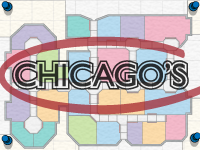 You are a personal shopper under the employment of the brand new Chicago's Mall. 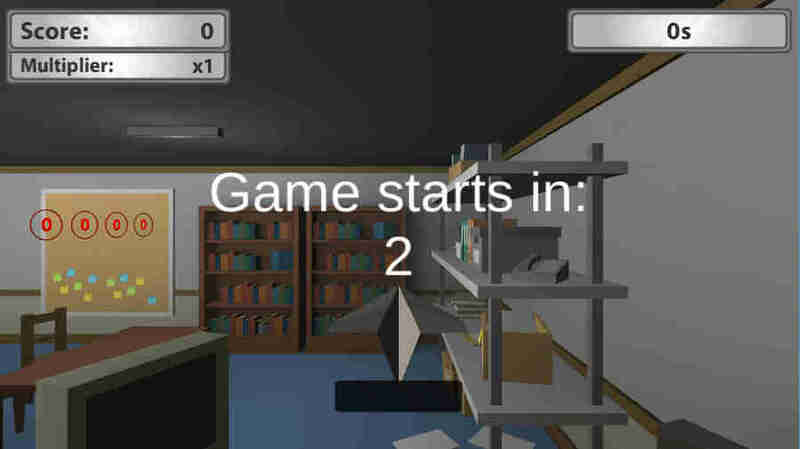 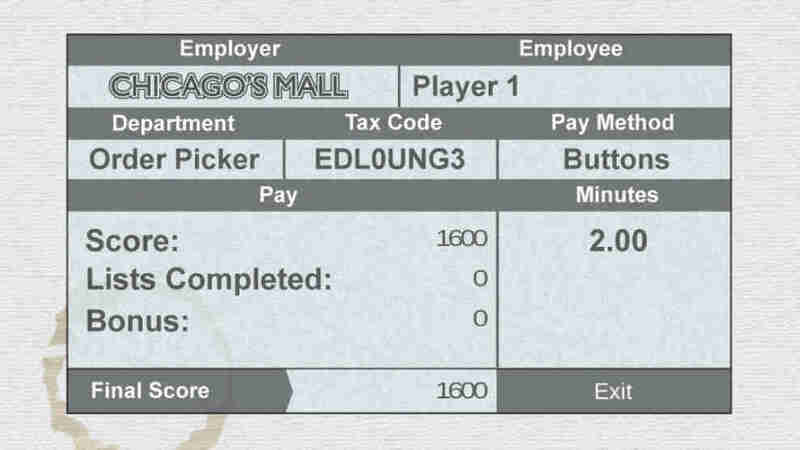 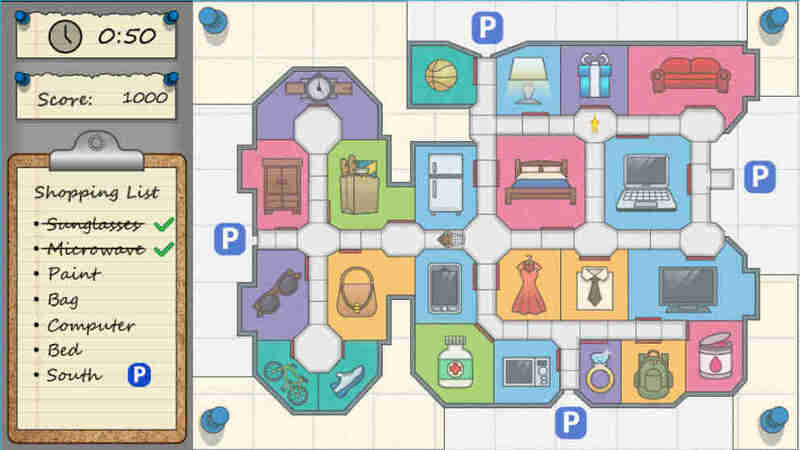 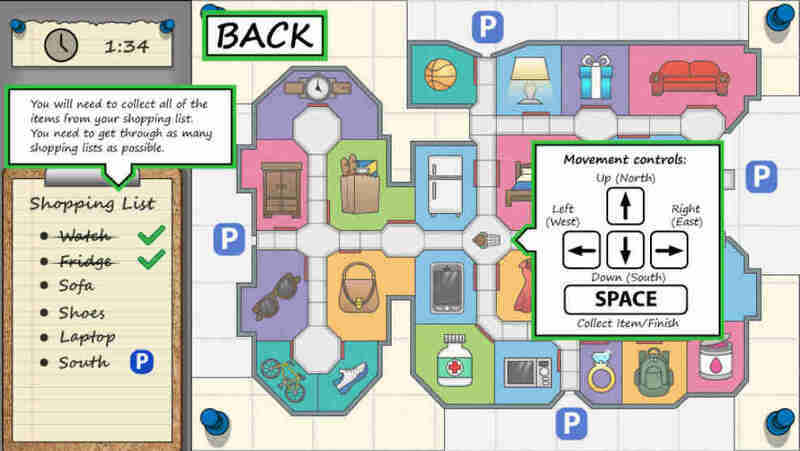 Players will quickly navigate the mall and collect specific items for clients. 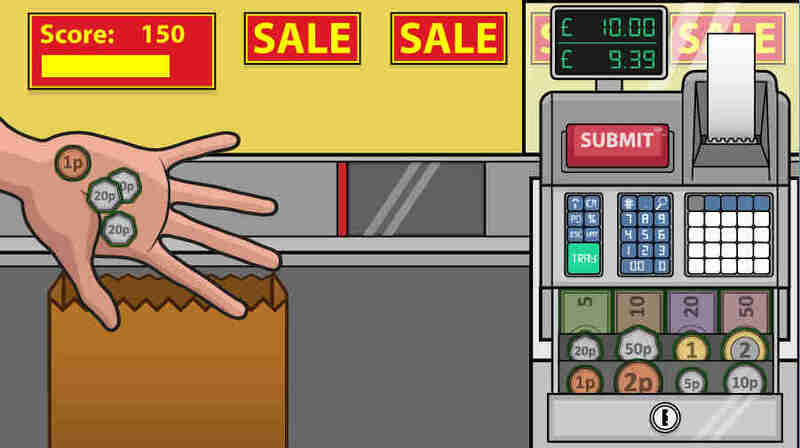 Get through as many shopping lists as possible and increase your speed before the time runs out. 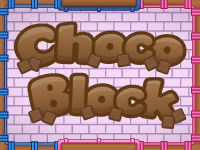 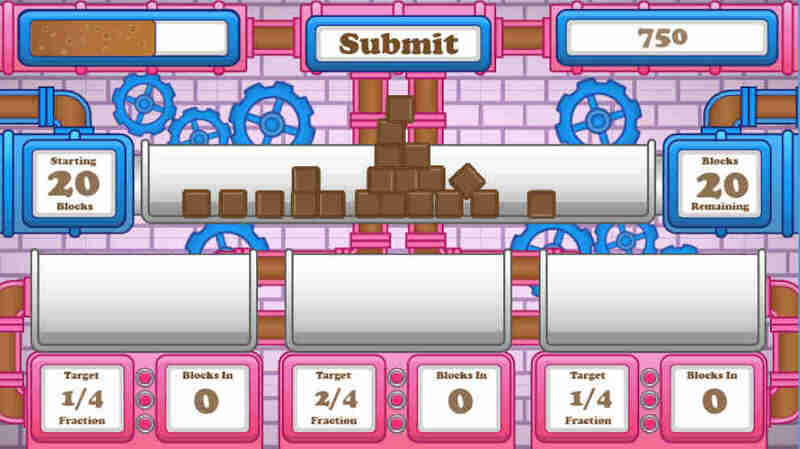 Put your fraction knowledge to the test with this chocolaty numeracy game. 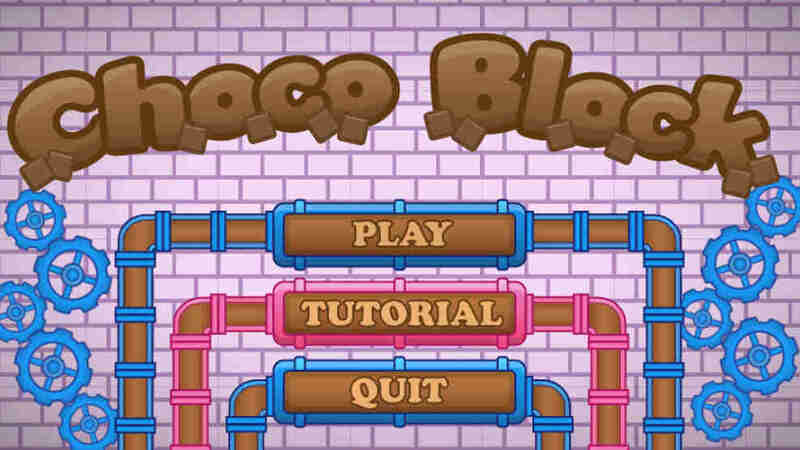 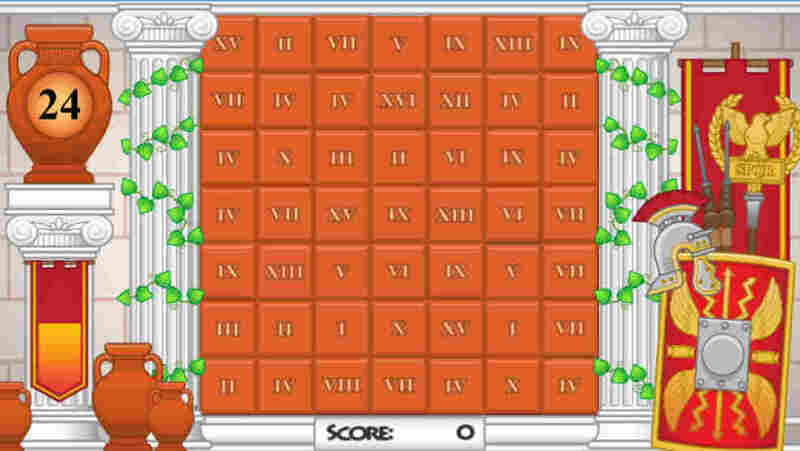 Players aim to fill as many chocolate containers with the right amount of delicios confectionary before the time runs out. 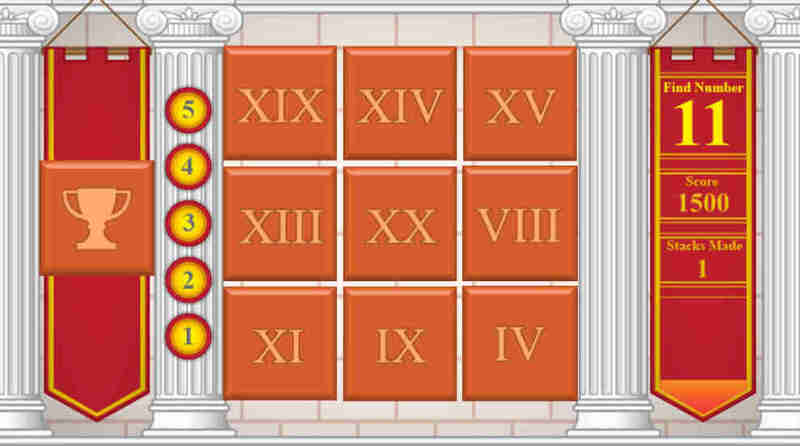 Time locked vaults are the latest rage in treasure security. 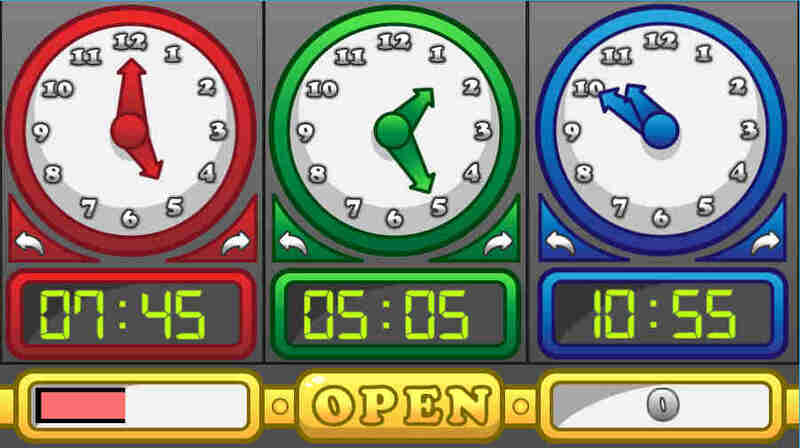 They can only be opened by matching the time 'codes' of both the analogue and digital clocks locks. 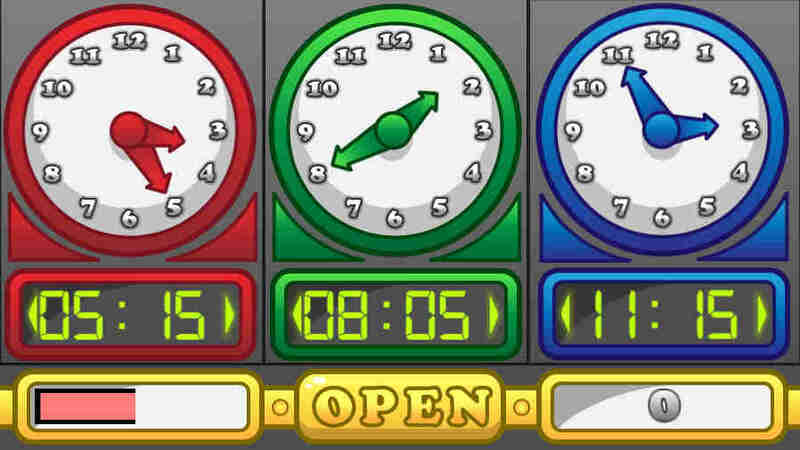 You need to try and open as many of these vaults within the given time limit. 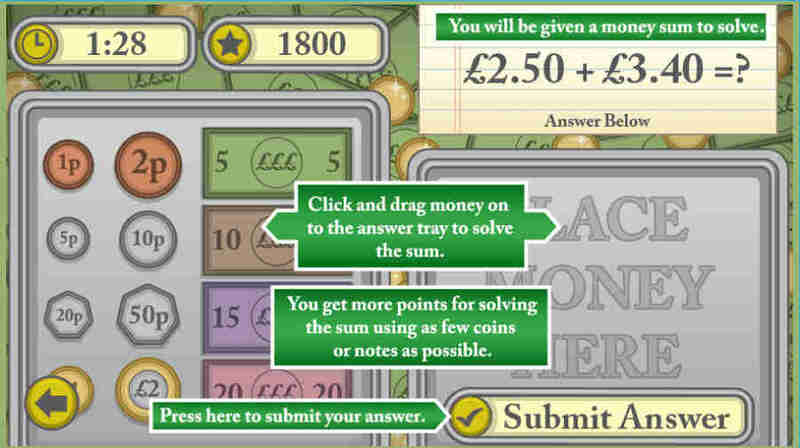 How much gold can you collect? 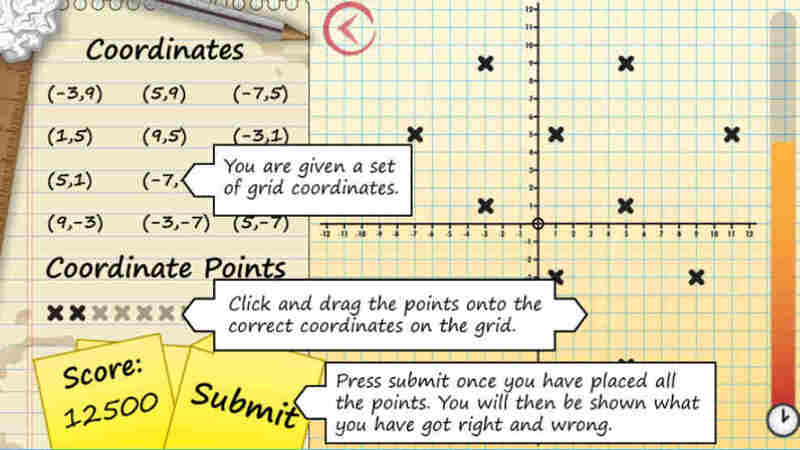 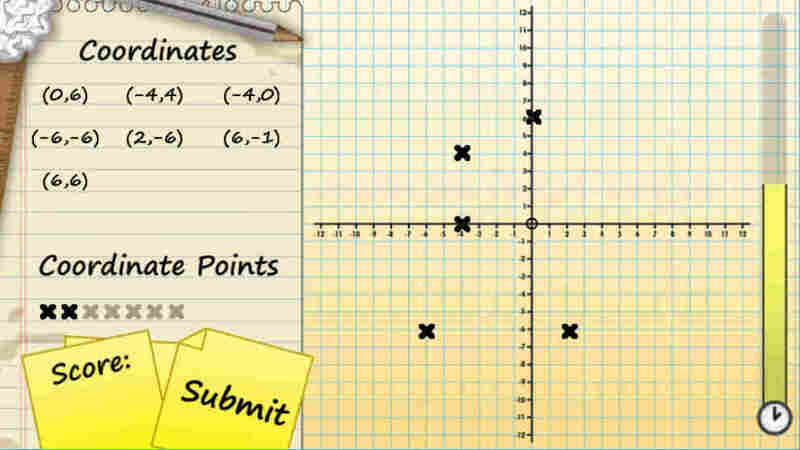 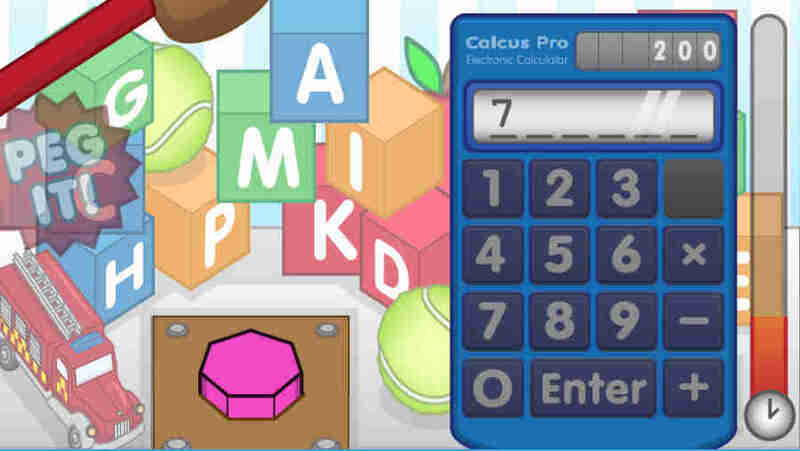 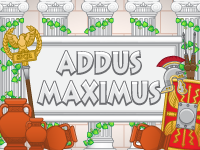 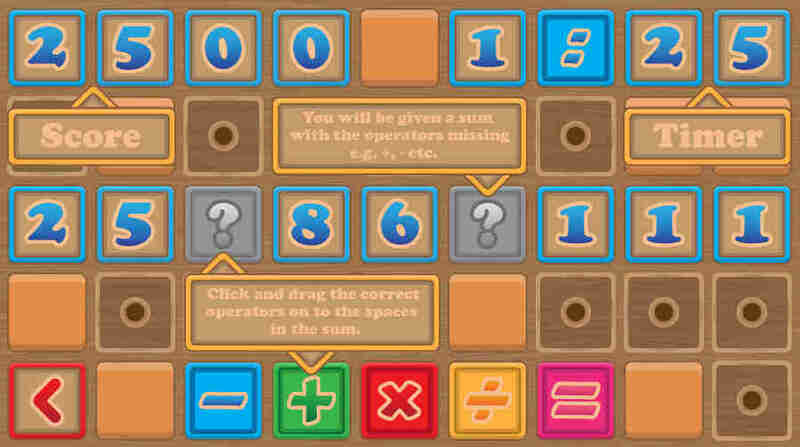 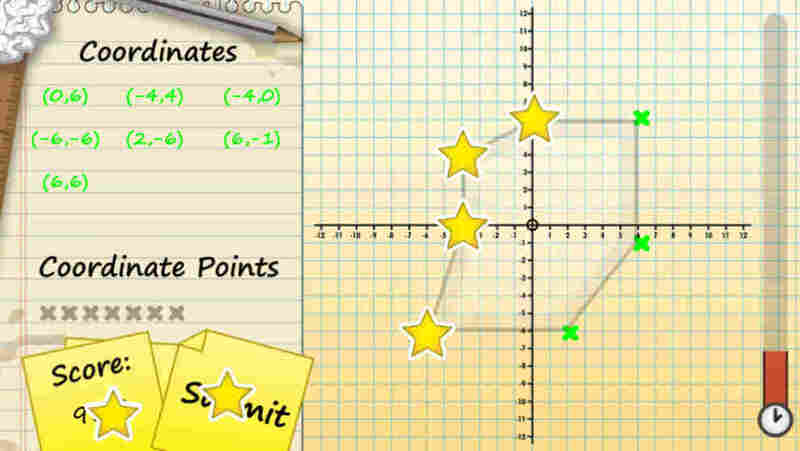 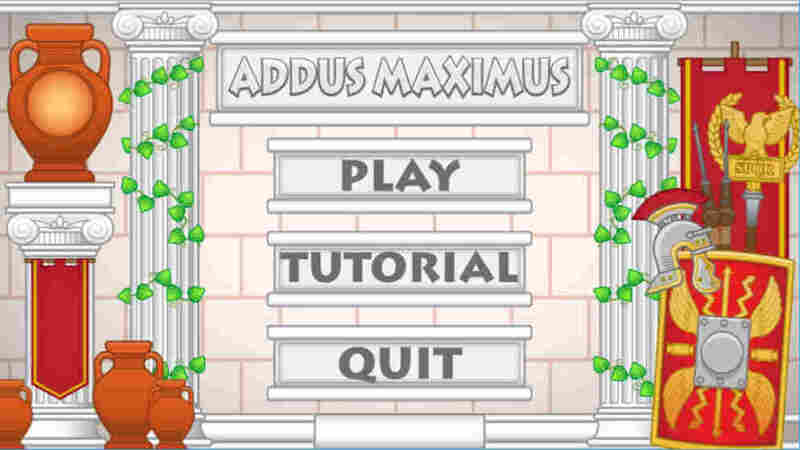 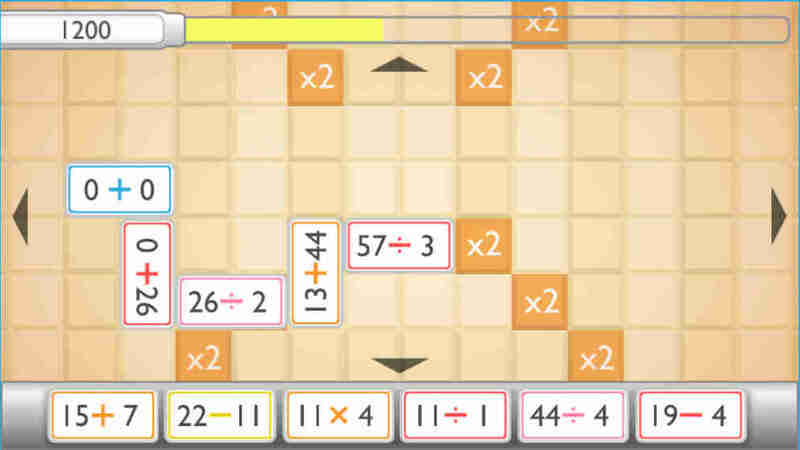 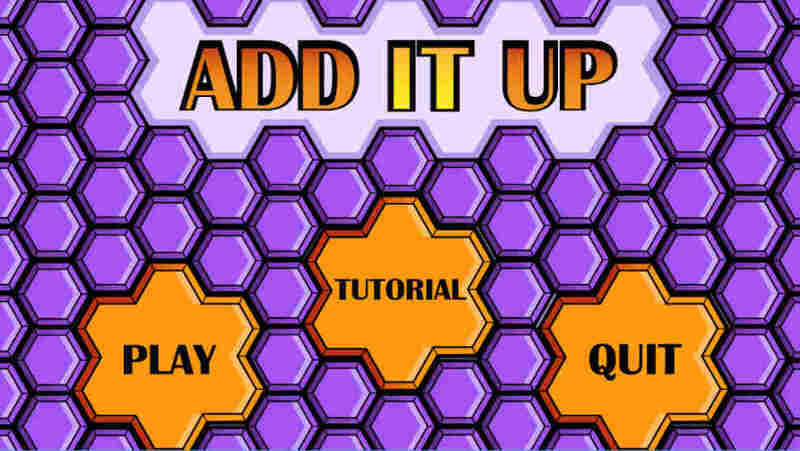 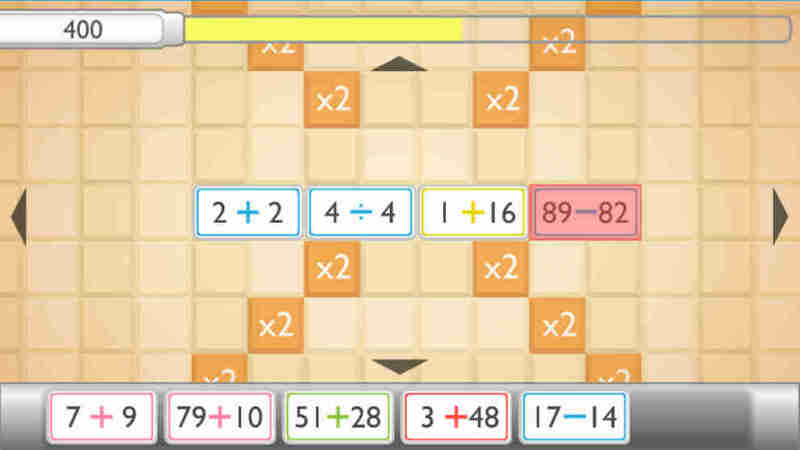 A simple maths game to test players addition, subtraction, division and multiplication. 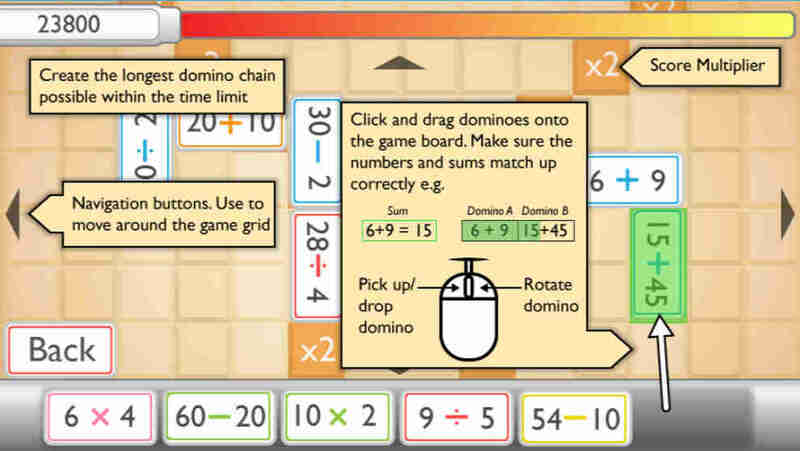 Click and drag the dominoes onto the game board and make sums match up correctly. 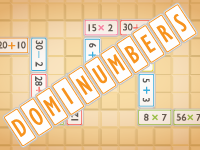 Your goal is to create the longest domino chain possible within a time limit. 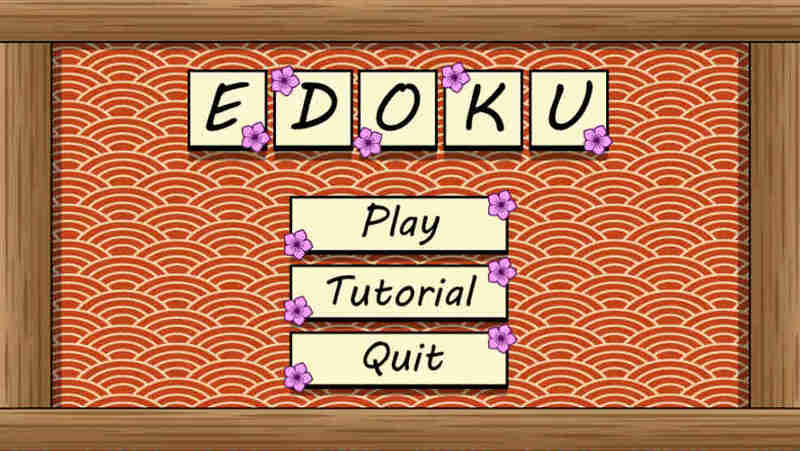 Edoku is an alternative take on a classic brain training game. 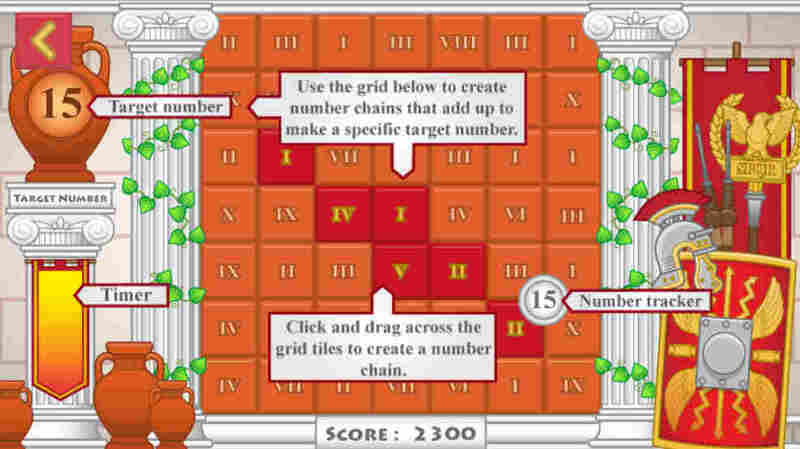 You will need to complete grids where each row and column has to be filled with numbers between 1 and 9. 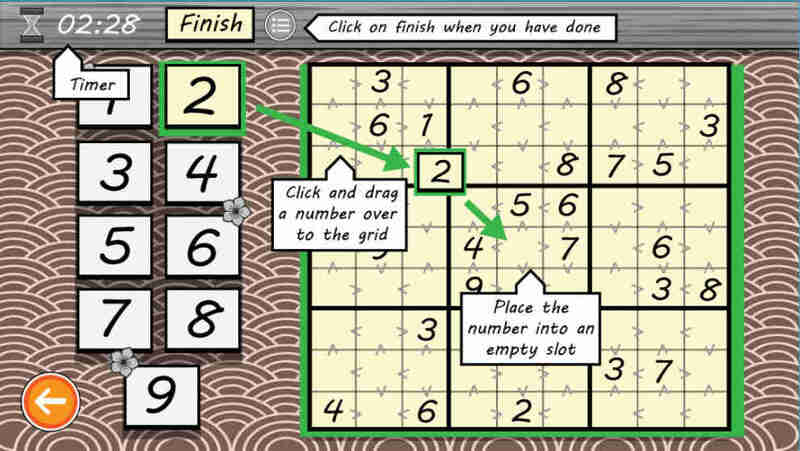 Numbers cannot repeat in a row or column and must match up to the inequality symbols on each grid. 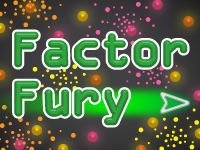 Get ready for some factory fury fun. 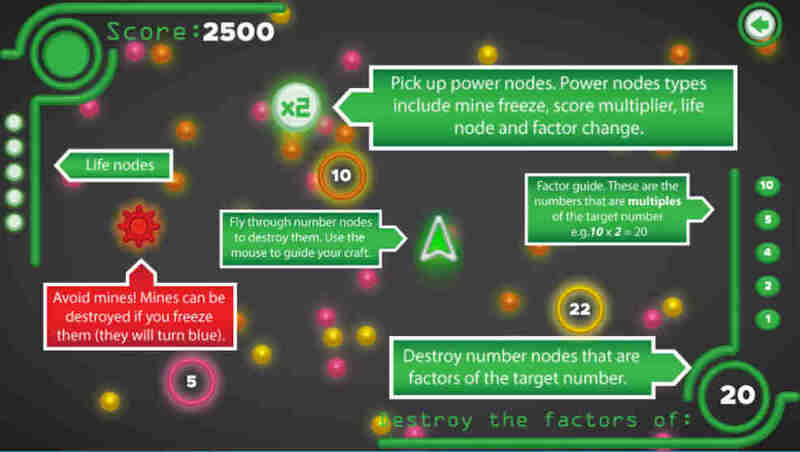 Players are a factor destroying node that must navigate its way through the numerical ether. 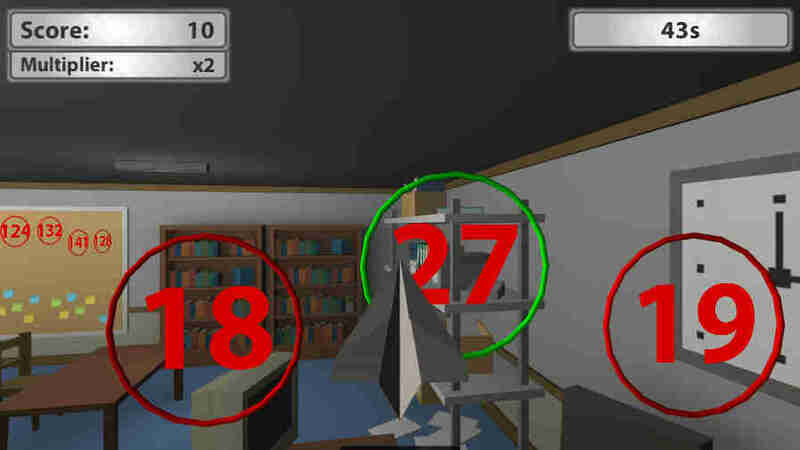 Your aim is to get rid of numbers that are factors of a target number. 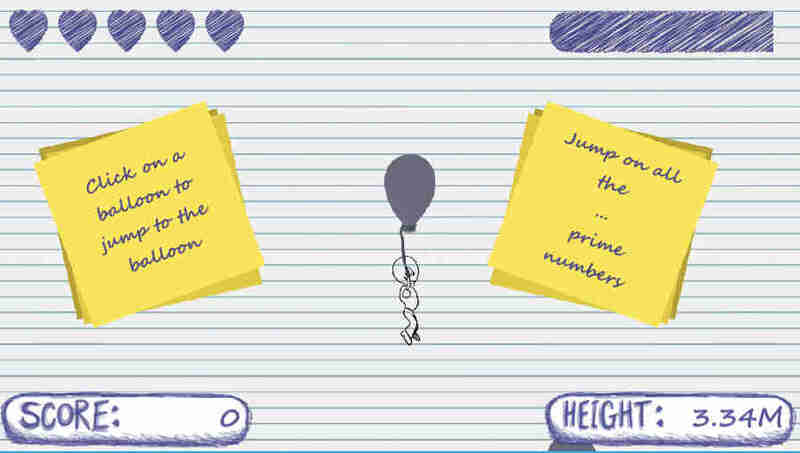 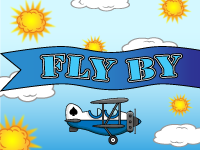 Use both your maths skills and flying ability to achieve your goals before the time runs out. 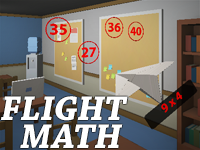 This flight simulator will not only test your flying powers, but your mental arithmetic. 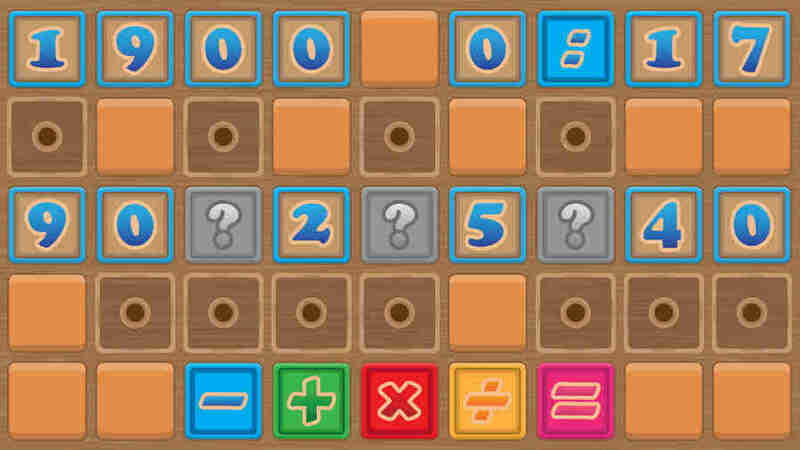 Players will be given an equation and they will have a choice of four possible answers. 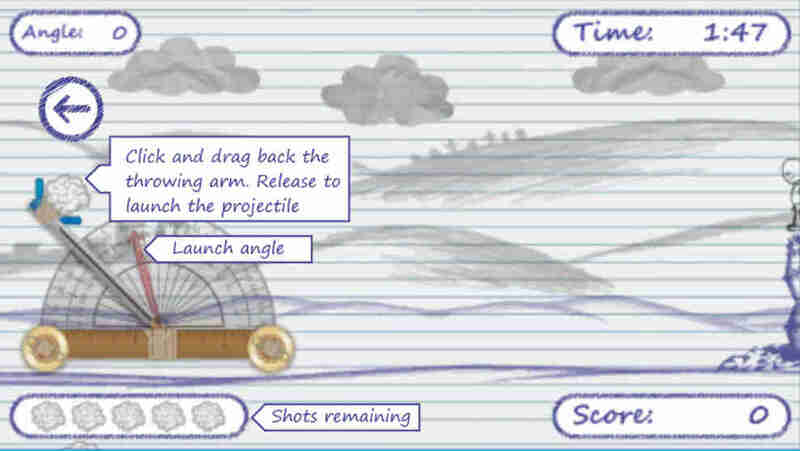 They must fly the paper plane through the right answer to gain points. 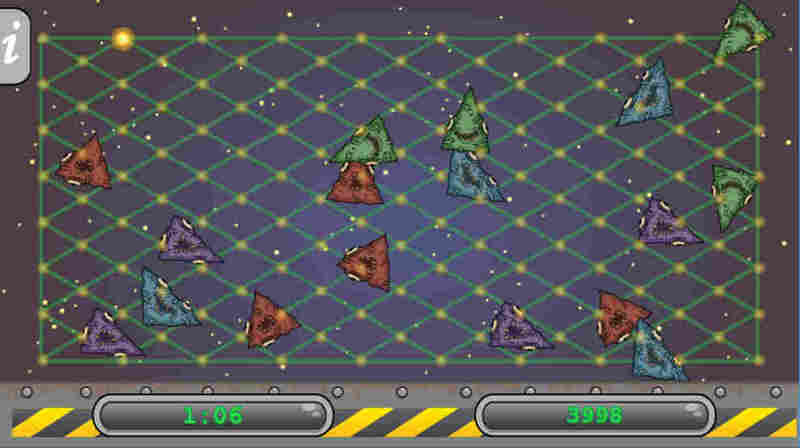 Prepare for battle! 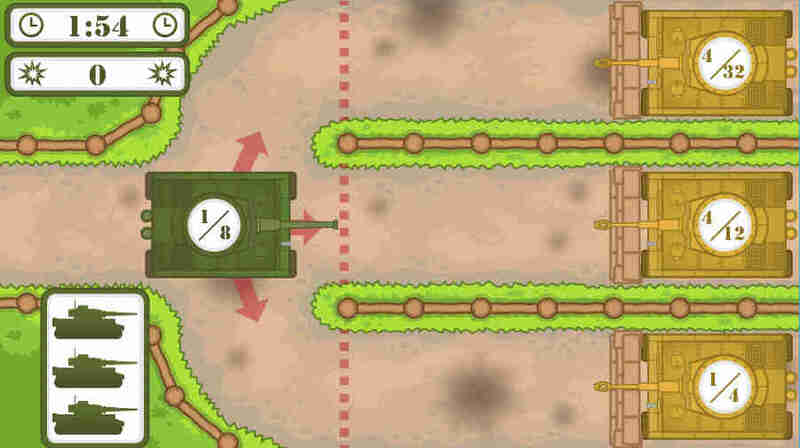 Lead a tank convoy to push through the enemy blockades. 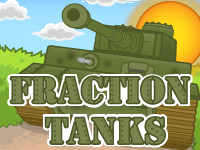 Your tanks will be painted with a fraction number. 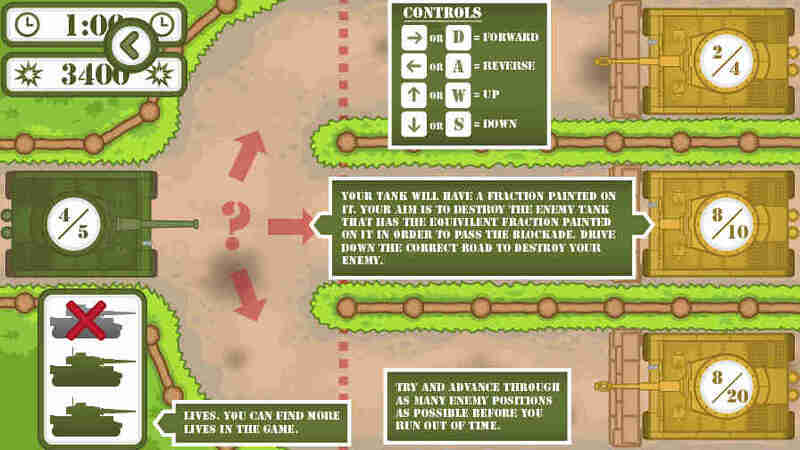 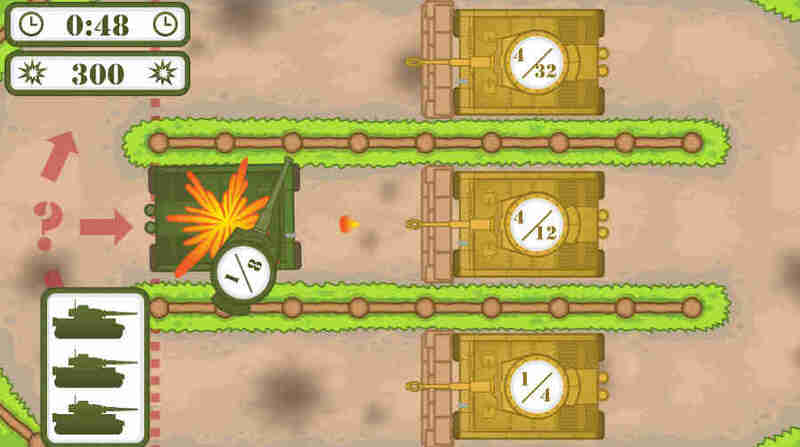 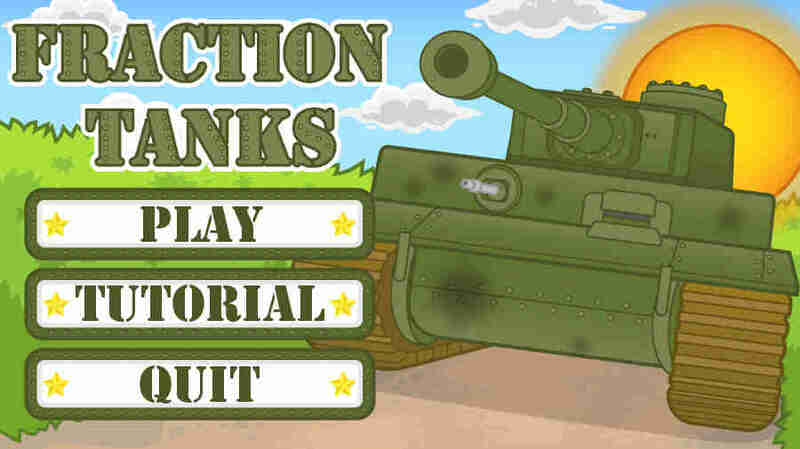 Players should destroy enemy tanks that are painted with the equivalent fractions. 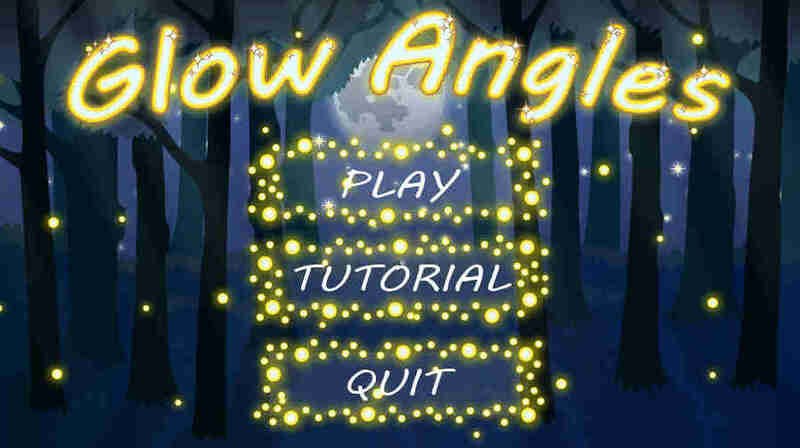 Get it wrong and you will be clown up. 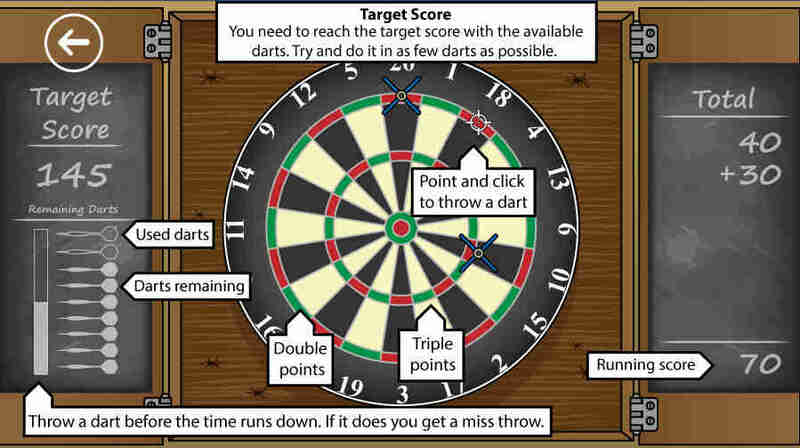 Target score - reach a certain score in as few darts as possible. 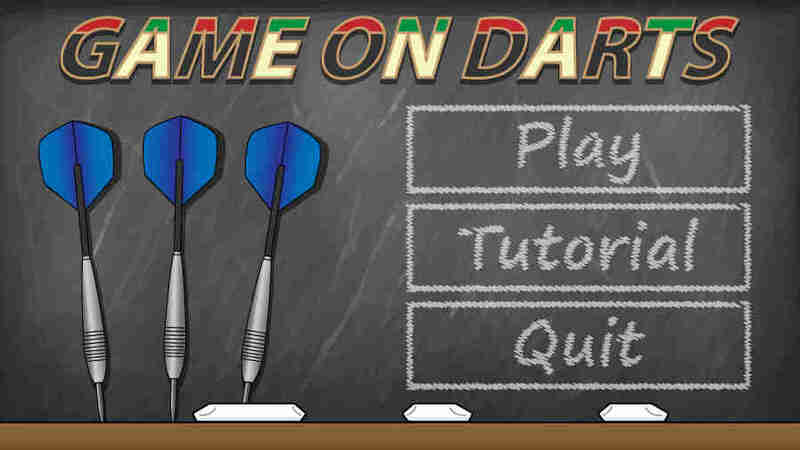 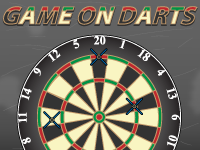 Countdown - get from a score to zero in as few darts as possible. 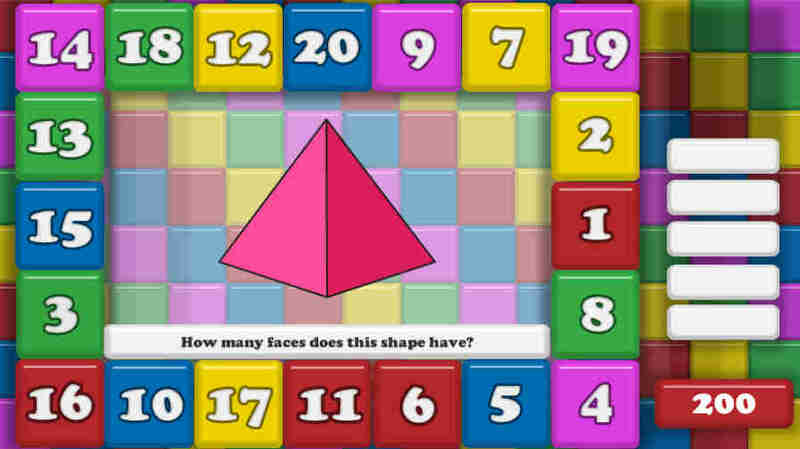 Test angle knowledge with this fun angle game. 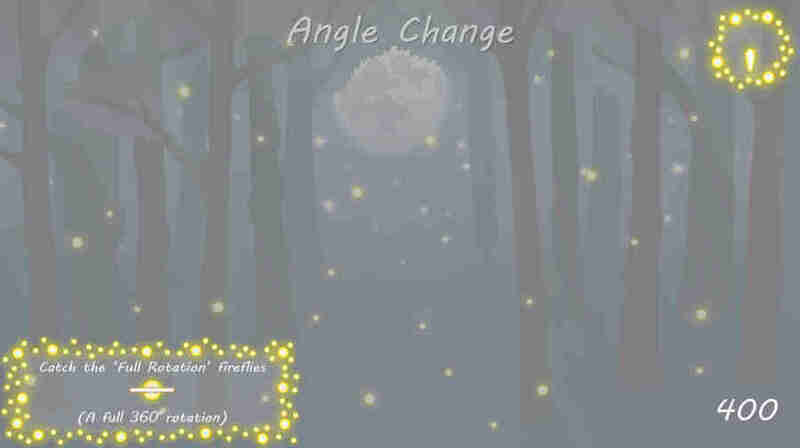 Players will be given a type of angle and they must click on the given angle with your net. 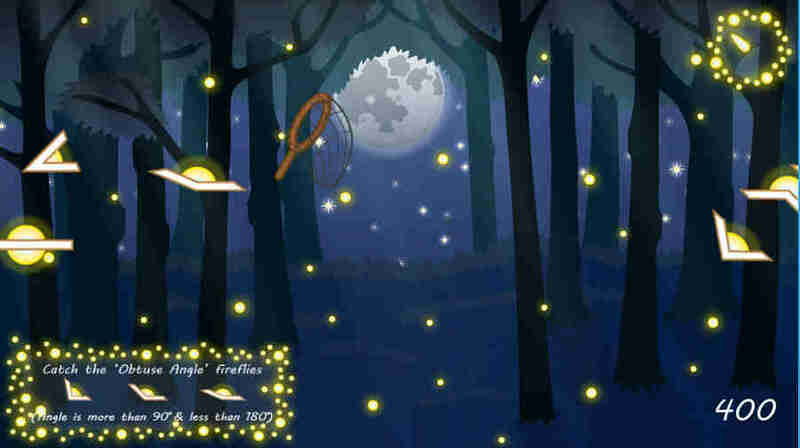 Catch as many angle fireflies before the time runs out. 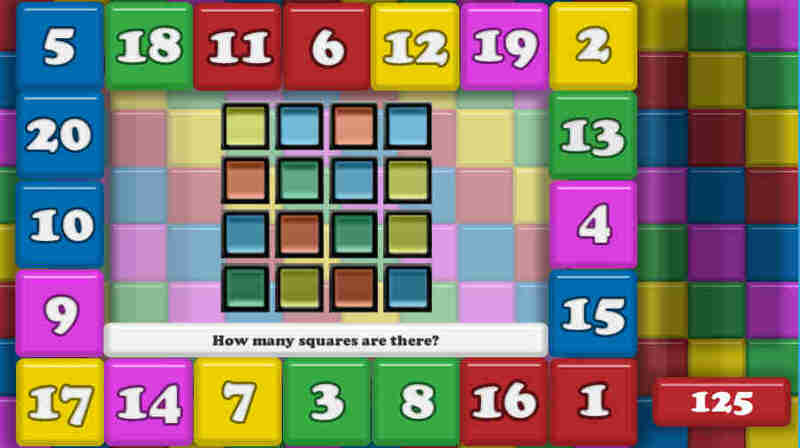 Is it possible to get a square peg in a round hole? 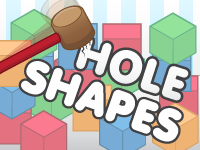 Players need to alter shapes so that they can fit into particular holes. 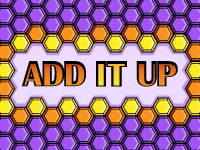 Use a calculator to increase and decrease the number of sides on the shapes. 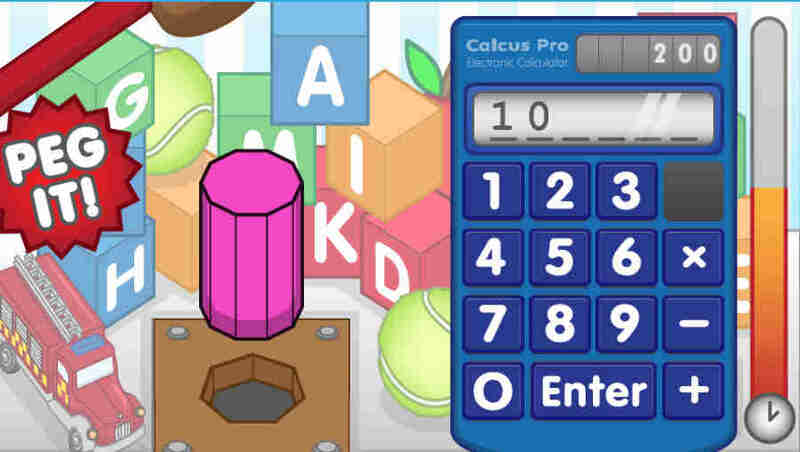 Be careful though as some buttons on the calculator may disappear. 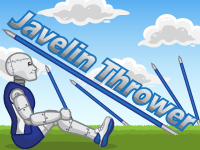 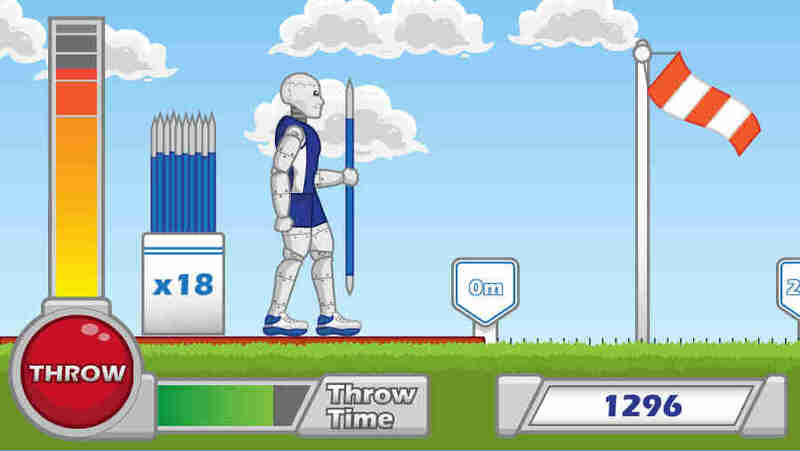 Players can portray the role of an athlete and practice javelin throwing skills. 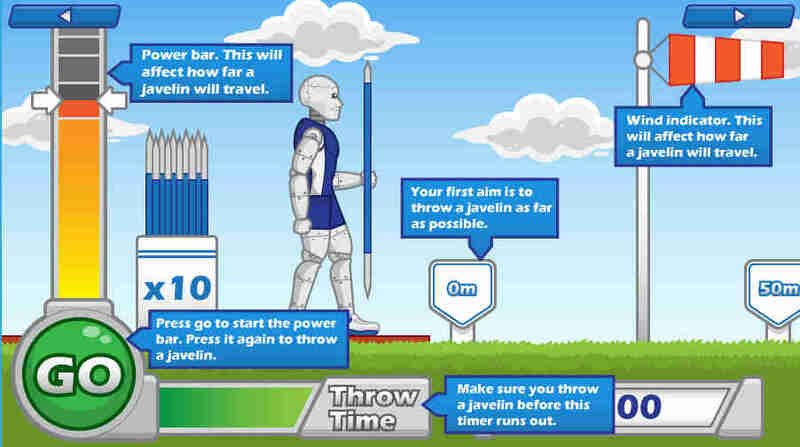 Try and throw javelins as far as you can whilst taking into account power and wind. 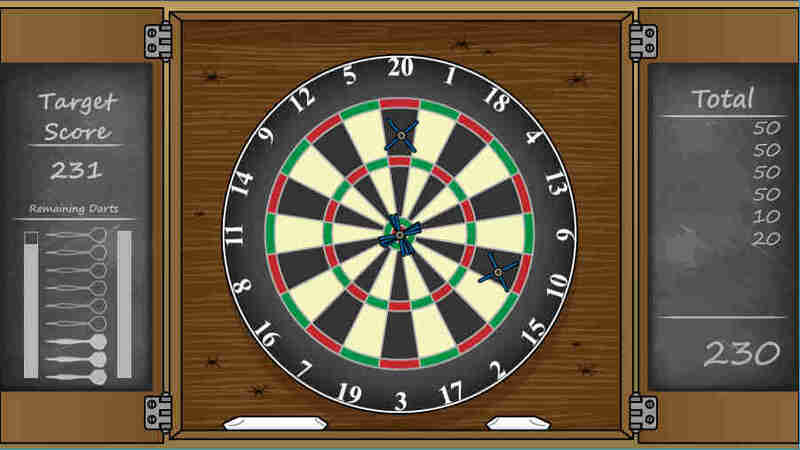 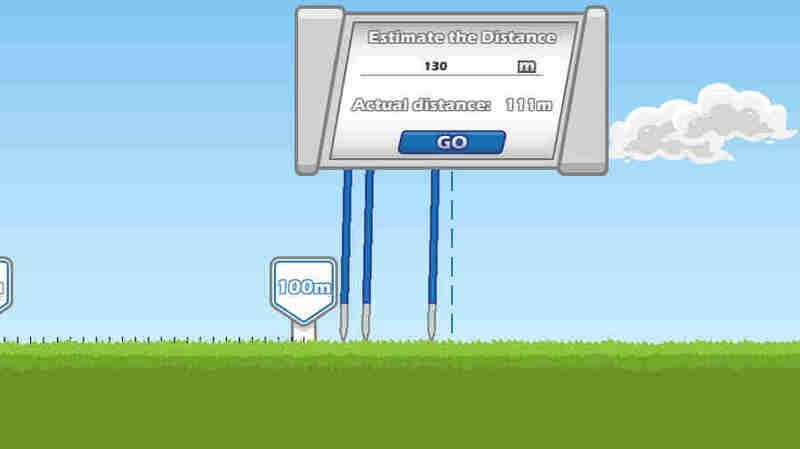 Players will also need to estimate how far you have thrown your projectile in order to gain points. 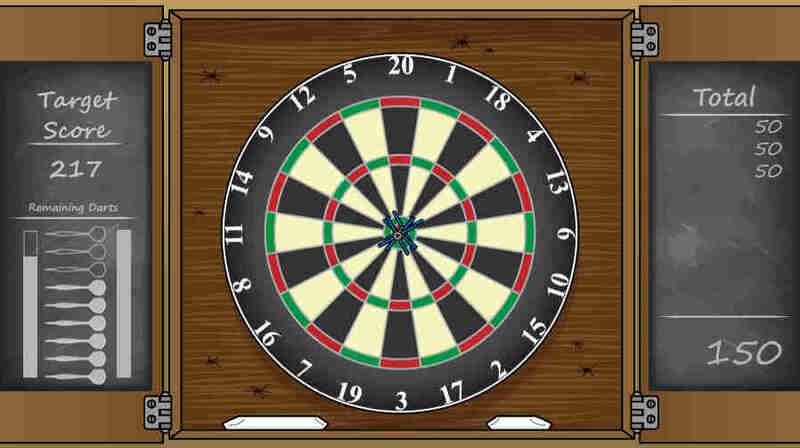 It's time to throw, guess and go. 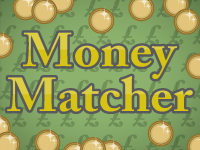 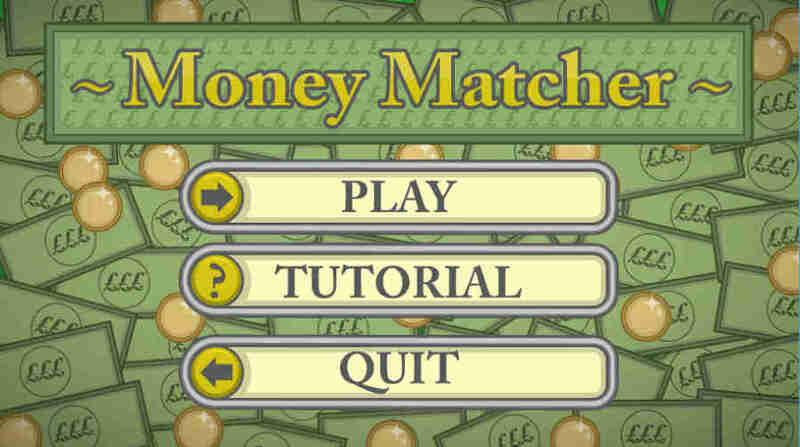 It's time to test money skills monetary skills in Money Matcher. 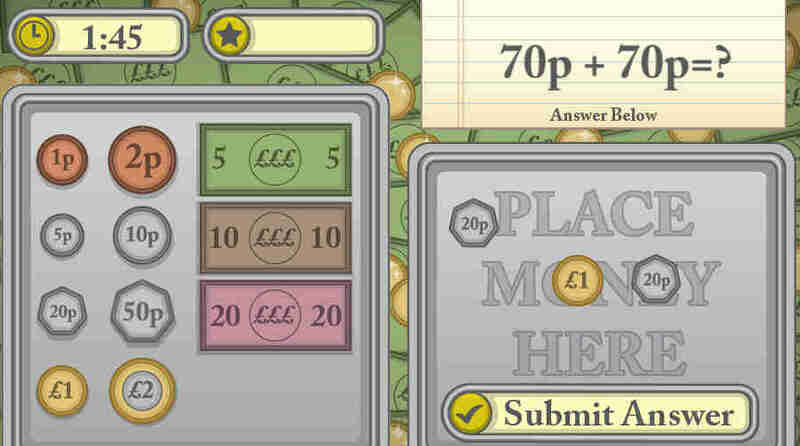 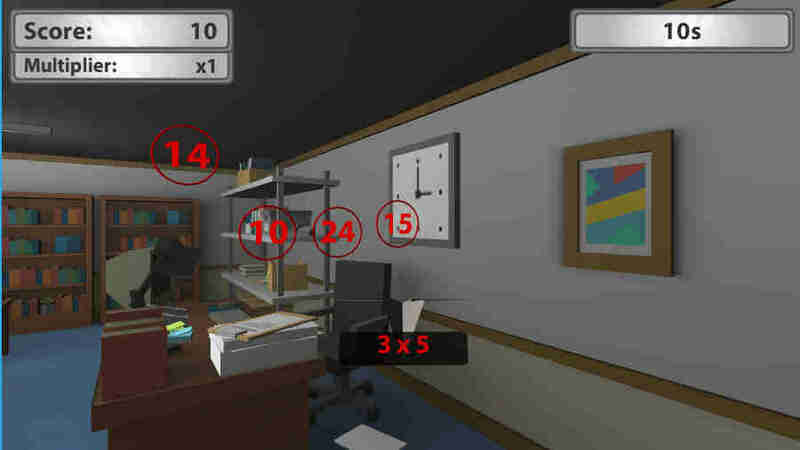 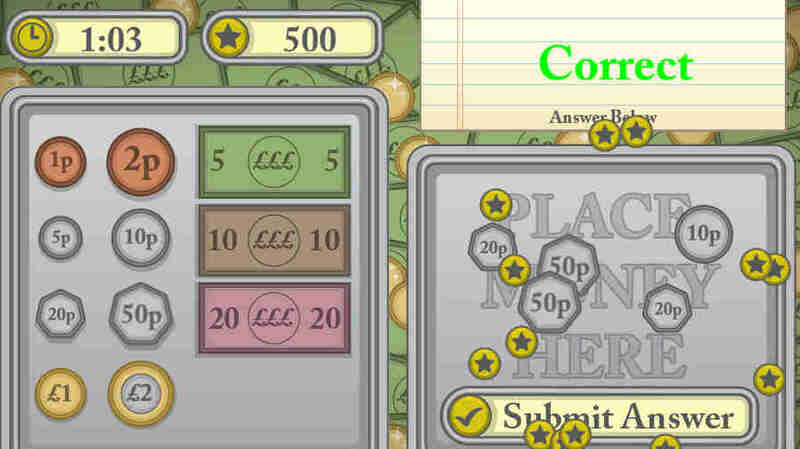 Players will use coins and notes to make correct value of money in order to solve the sums given. 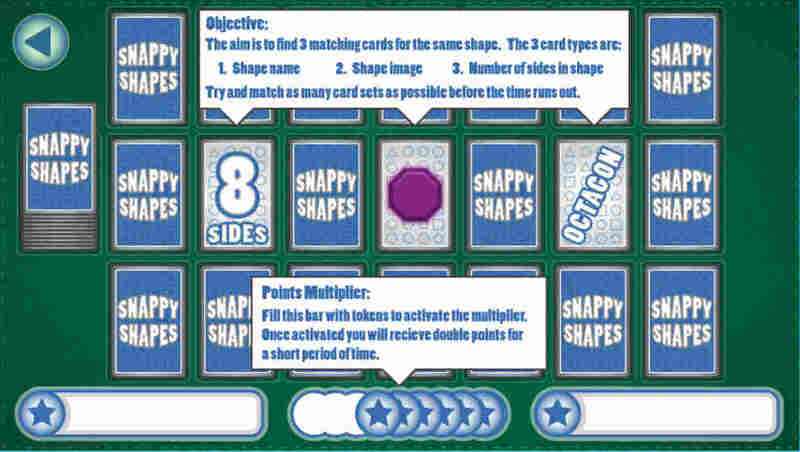 This is a fun and simple adding game. 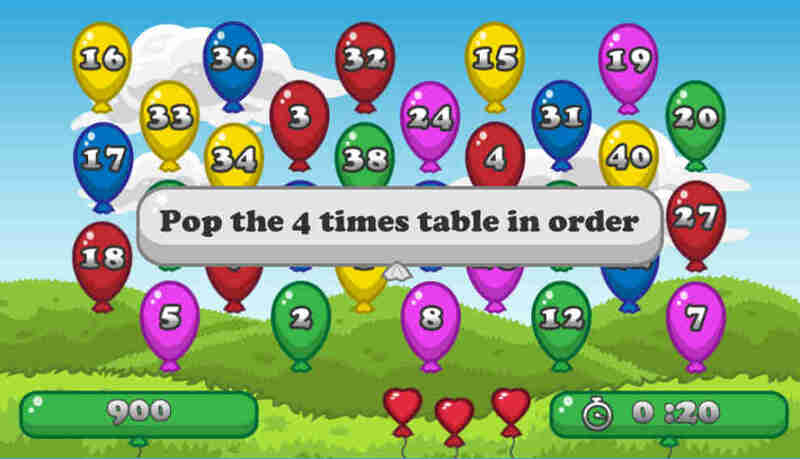 Players will see an image and question on the screen and they must pick the right number to answer the question. 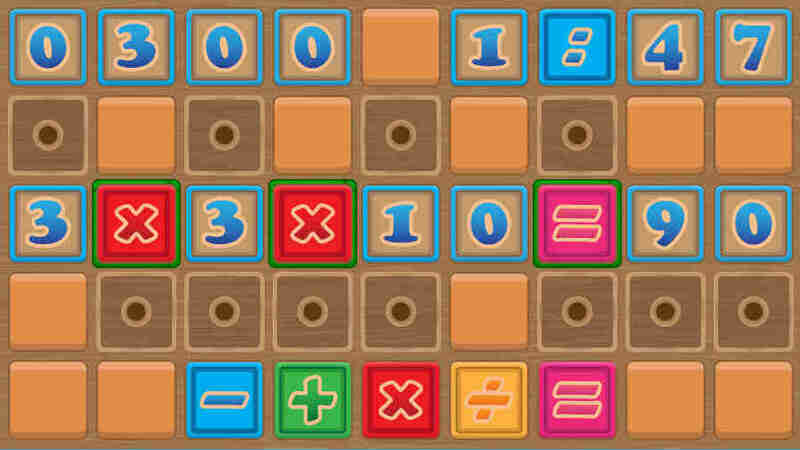 It's time to get artistic in this colourful arithmetic based game. 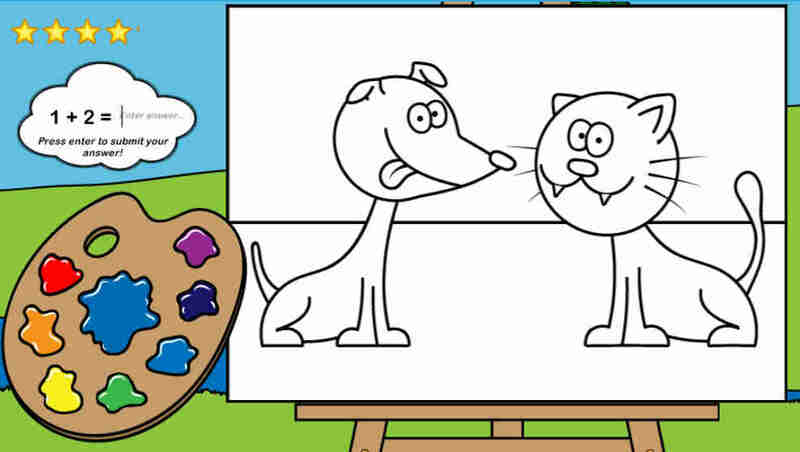 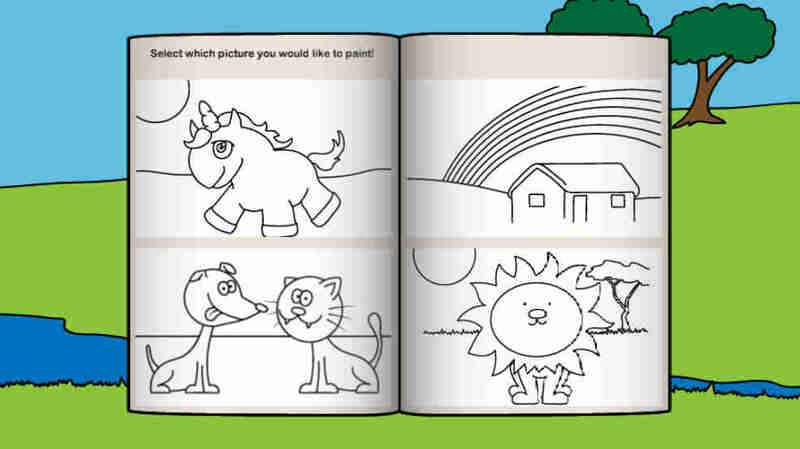 Players can choose from a selection of pictures to paint. 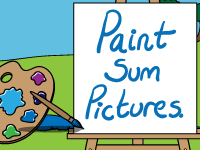 The paint, however, won’t attach to the canvas unless you correctly answer the mathematical sum. 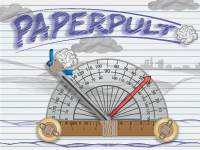 Get ready for some paperpulting fun. 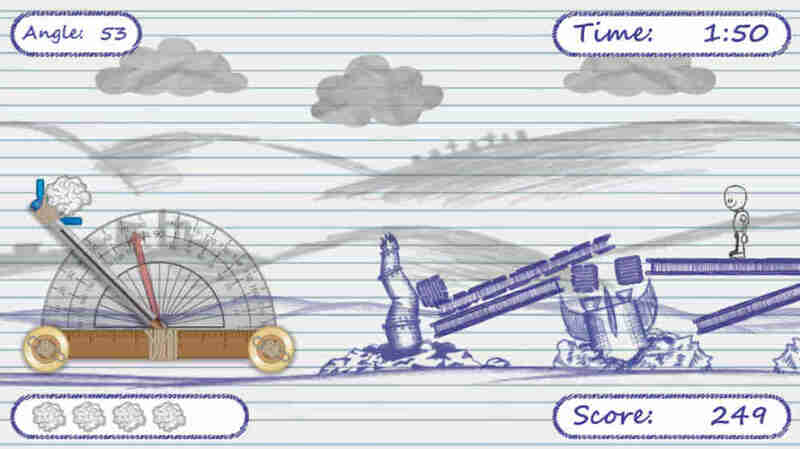 The aim is to knock over the sketched fortifications and men using a catapult made from everyday stationary. 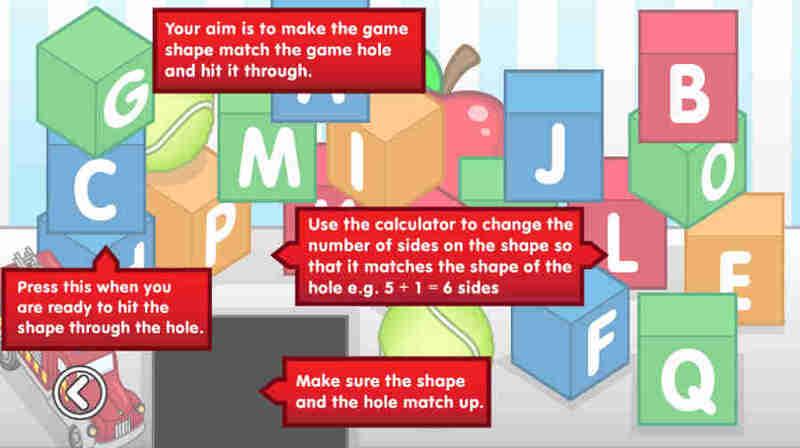 Players will increase angles skills by setting up the correct angle for their shot. 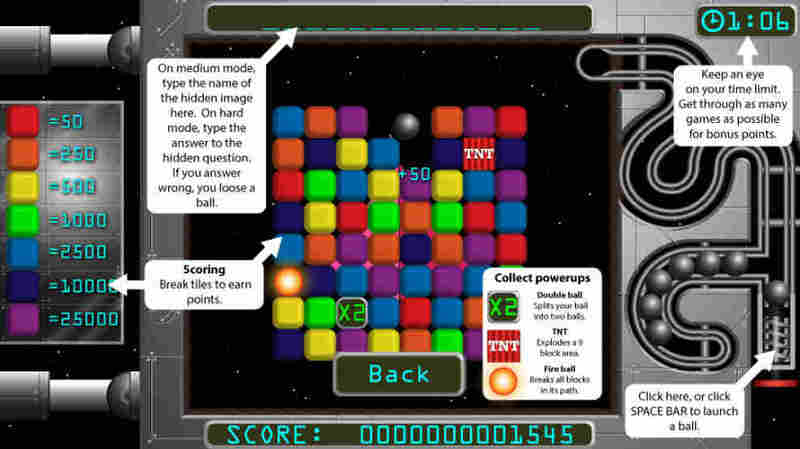 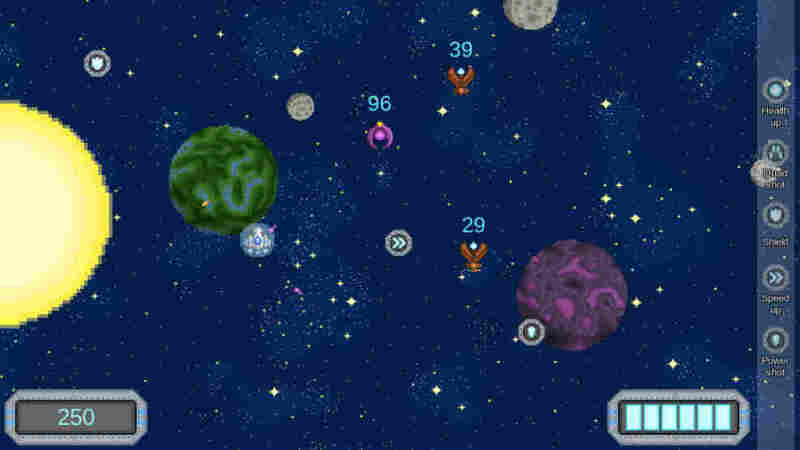 Complete as many levels as possible in as few shots as possible in order to gain more points. 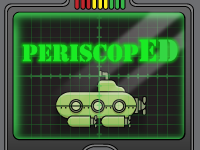 Up periscope! 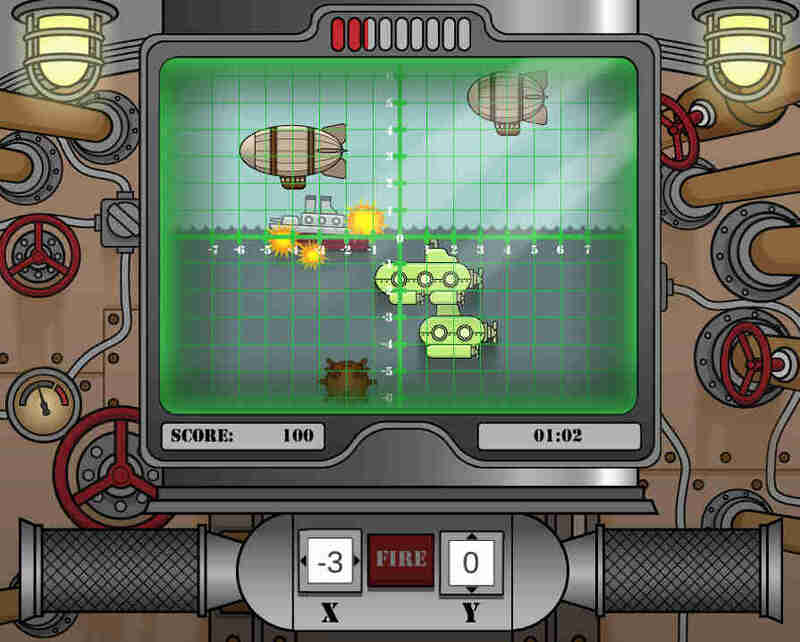 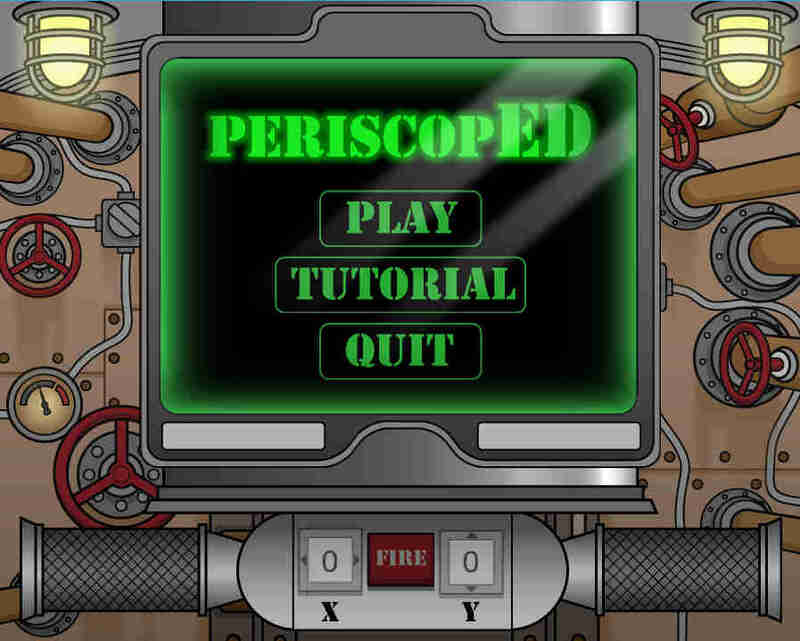 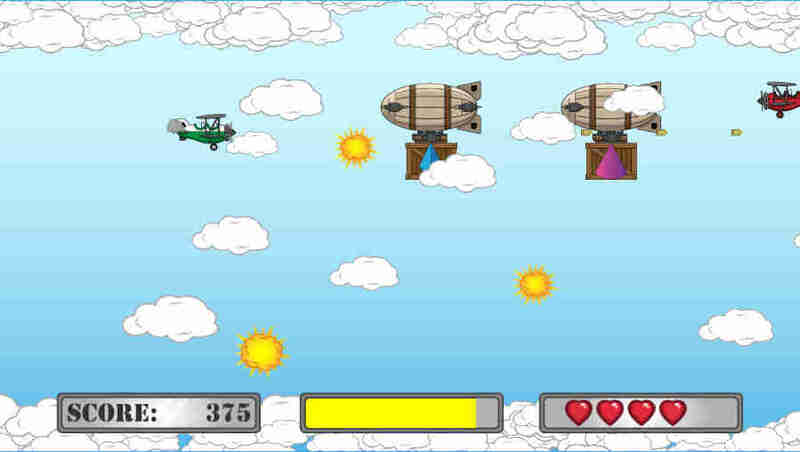 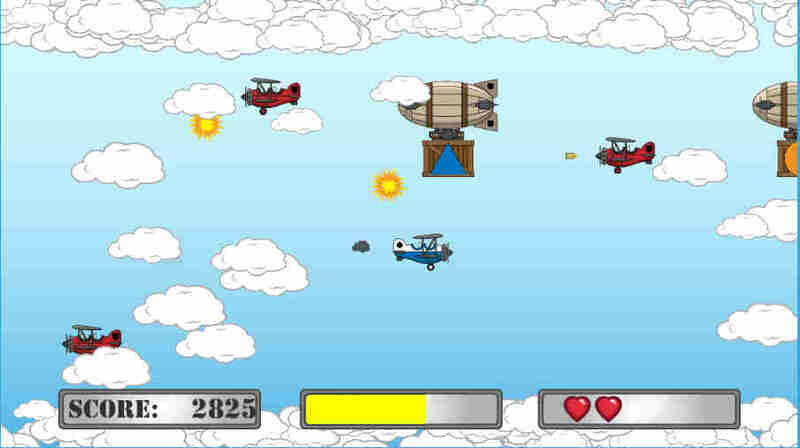 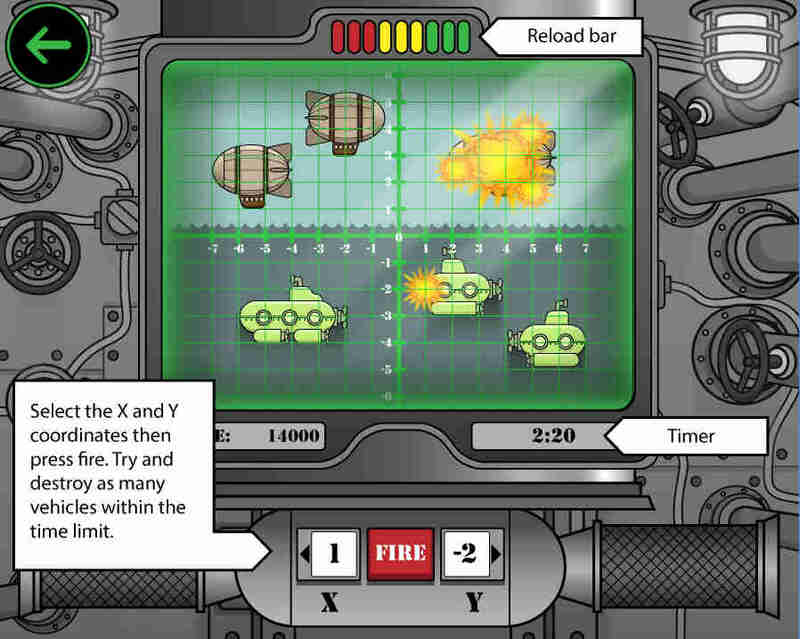 Play as a submarine captain and blow up as many of the enemy positions as possible. 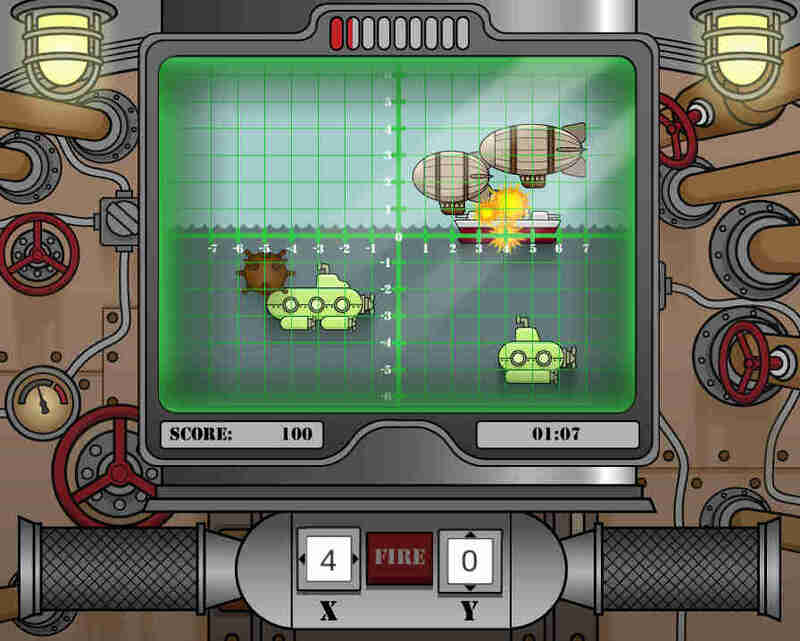 Players must select the correct coordinates on the graph in order to hit the enemy when you fire your torpedoes. 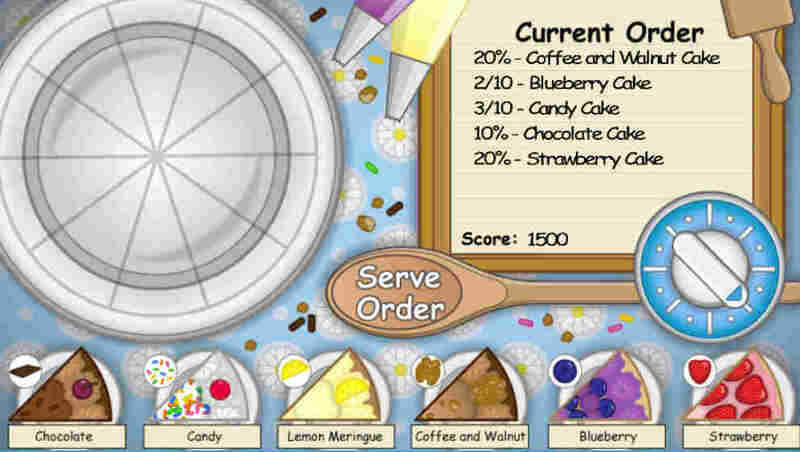 Welcome to the patisserie where you can have half a blueberry and half a coffee cake or even a quarter chocolate with three quarters candy cake. 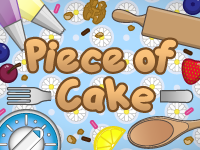 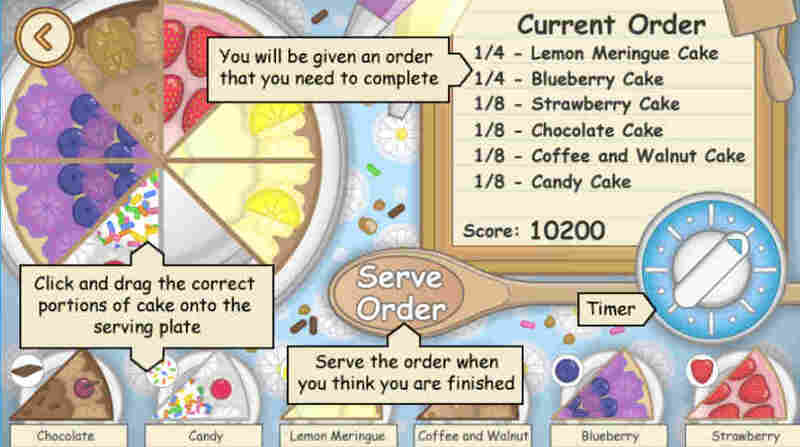 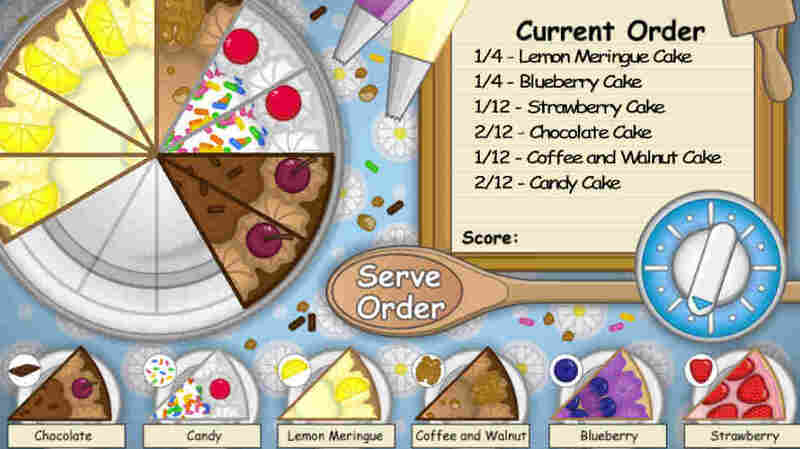 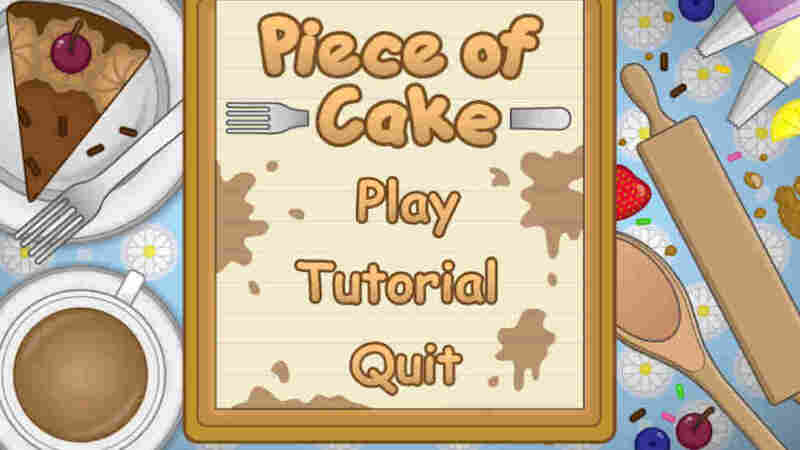 Players must follow current order given and drag the correct portions of cake onto the serving plate. 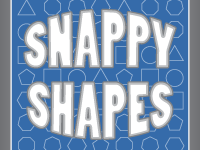 Make shapes by correctly marking out their coordinates. 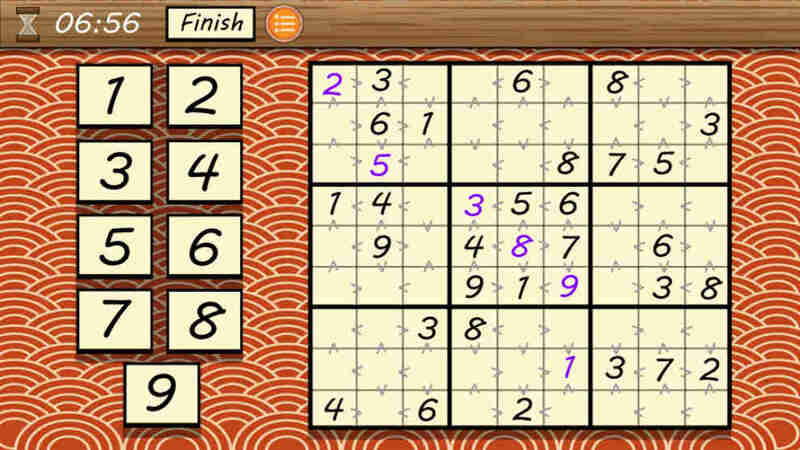 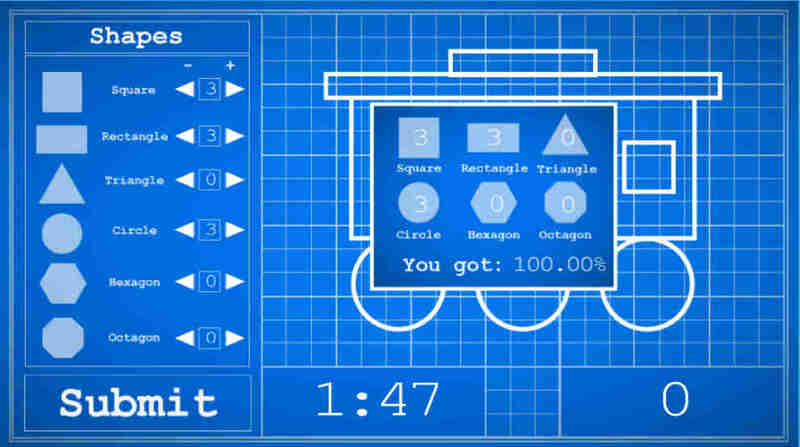 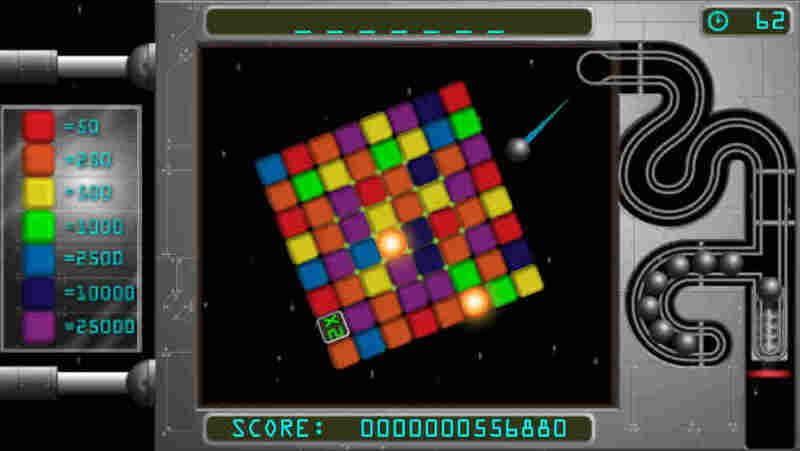 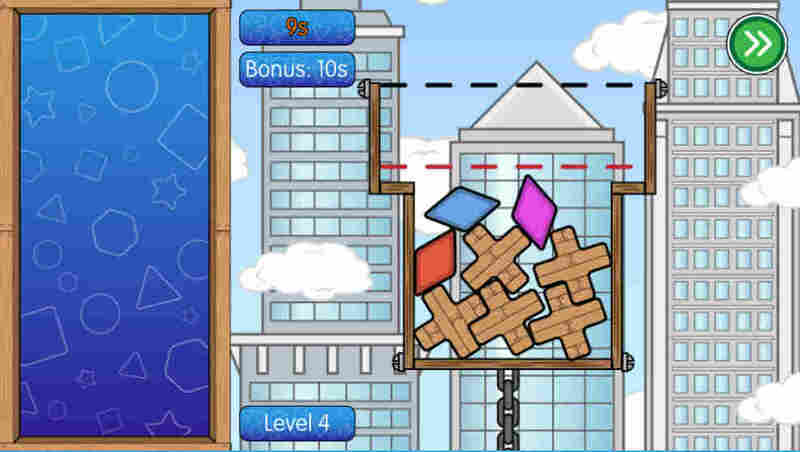 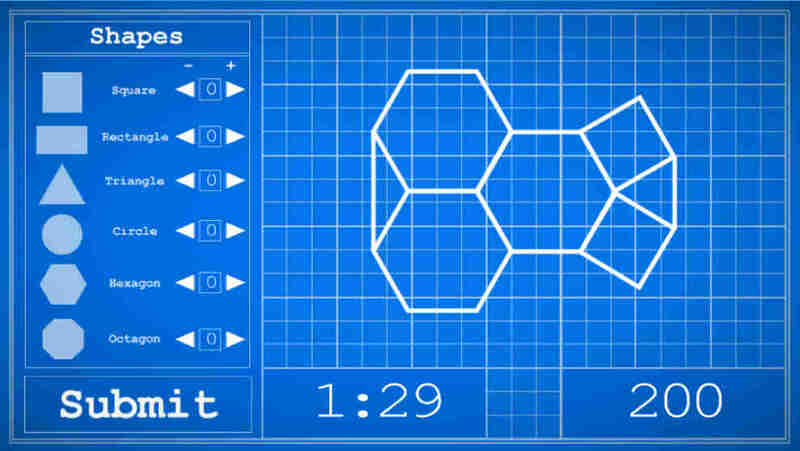 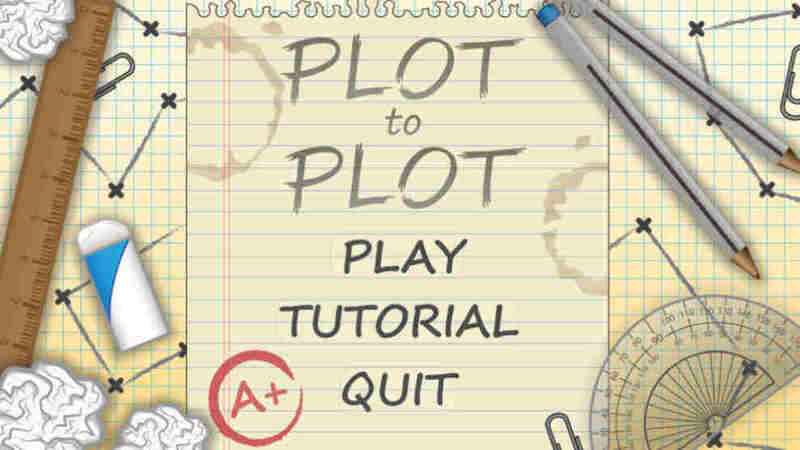 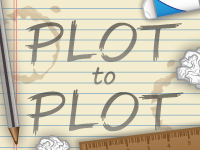 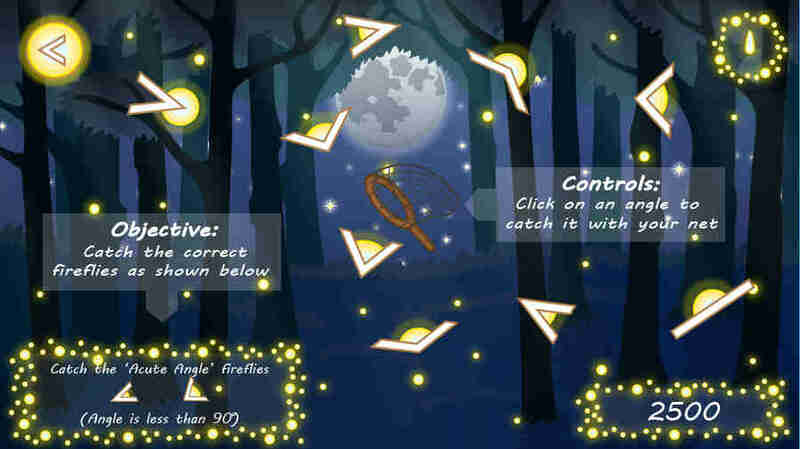 Players need to try and create shapes by correctly completing puzzling plotting problems. 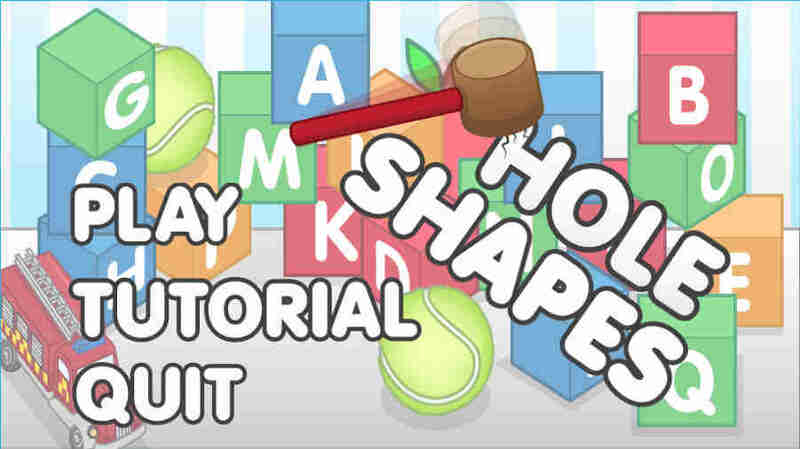 Try to build as many shapes as possible before you run out of time. 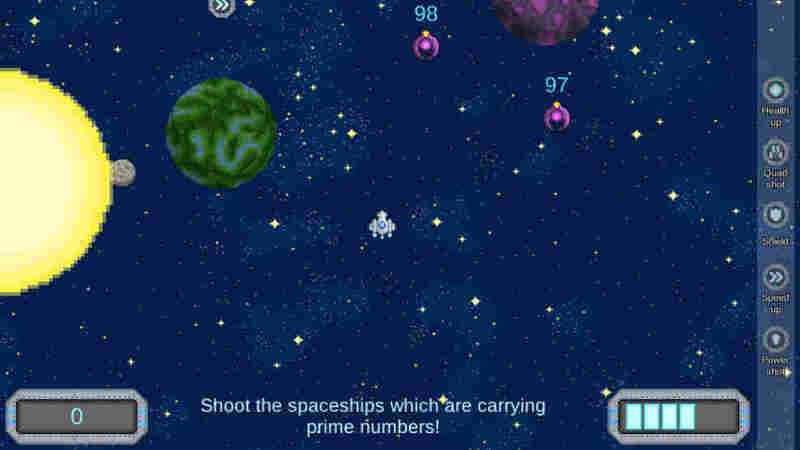 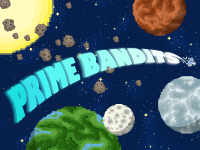 The aim is to shoot the prime numbers and avoid composite number aliens in this retro styled game. 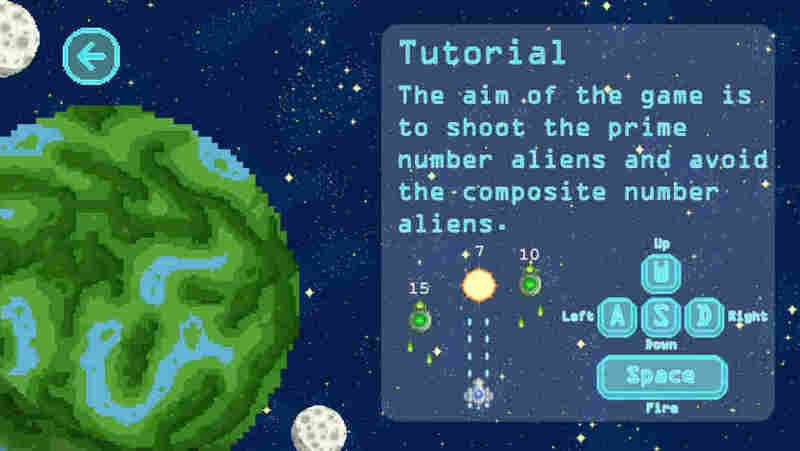 Think fast as the aliens come quickly. 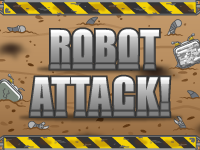 The number droids are invading. 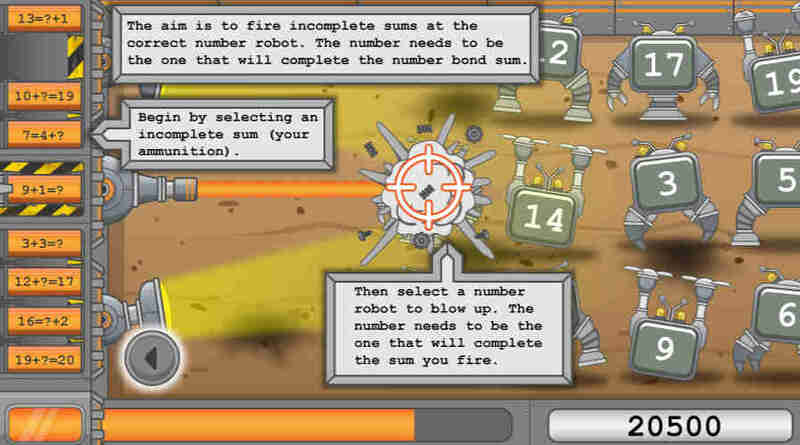 Players will see droids with a number on them and they must choose the correct sum which has the droid as an answer. 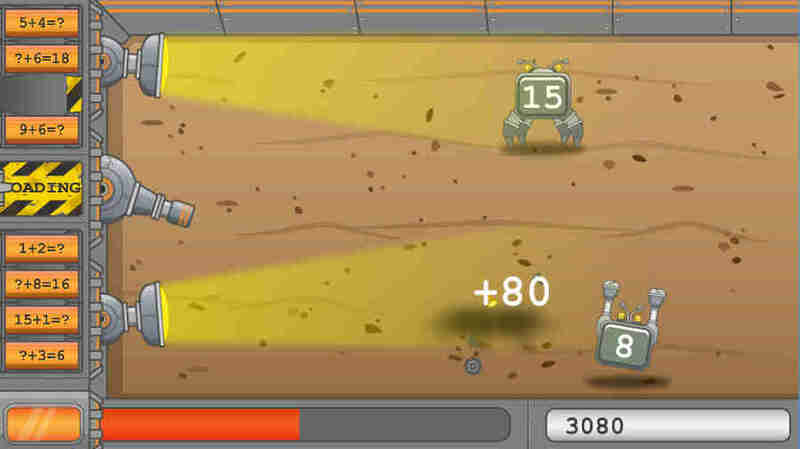 Survive as many of the increasing waves as possible. 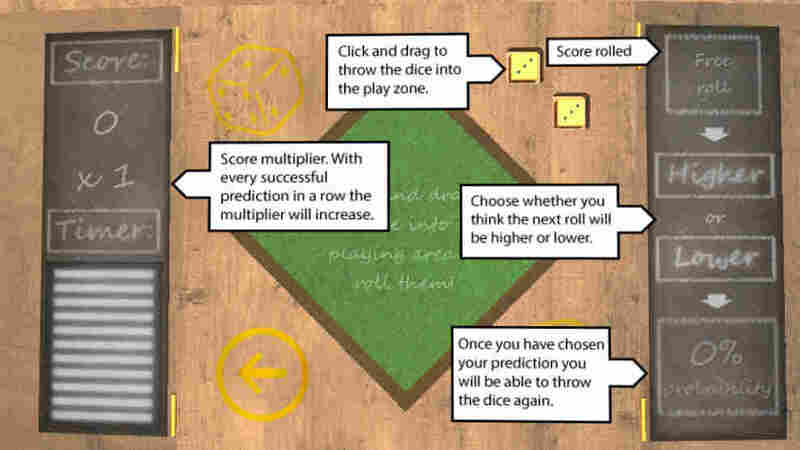 Let’s shake, rattle and roll in this simple probability game. 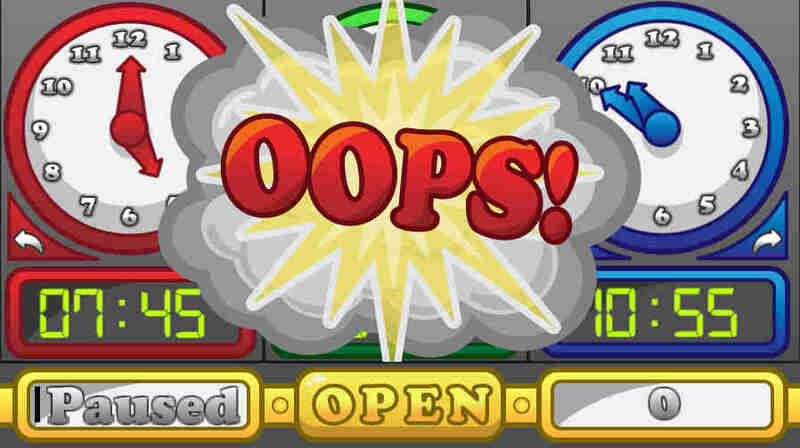 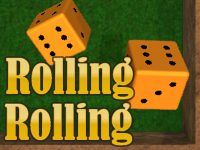 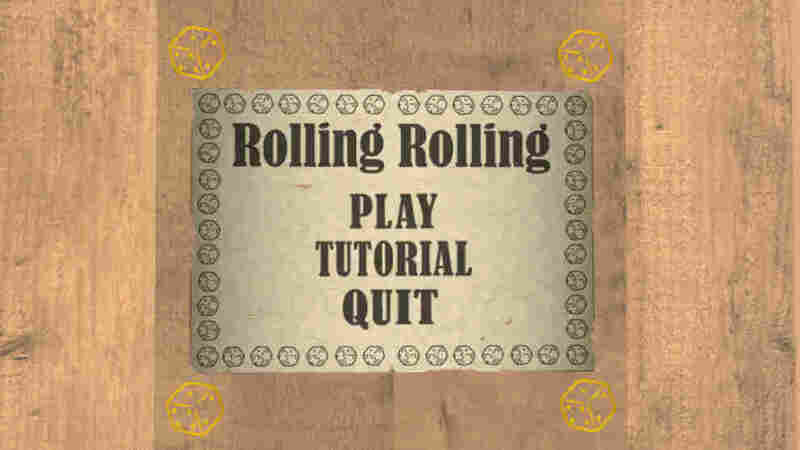 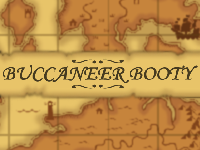 Players can test their probability skills by predicting the outcome of your dice rolls. 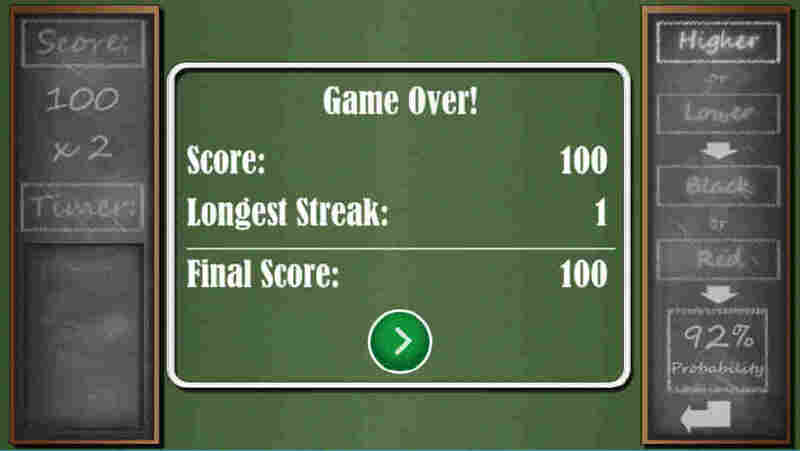 Try and get as much right in a row to increase your score multiplier. 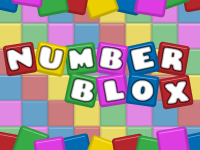 Time to test number skills at the temple of numeracy. 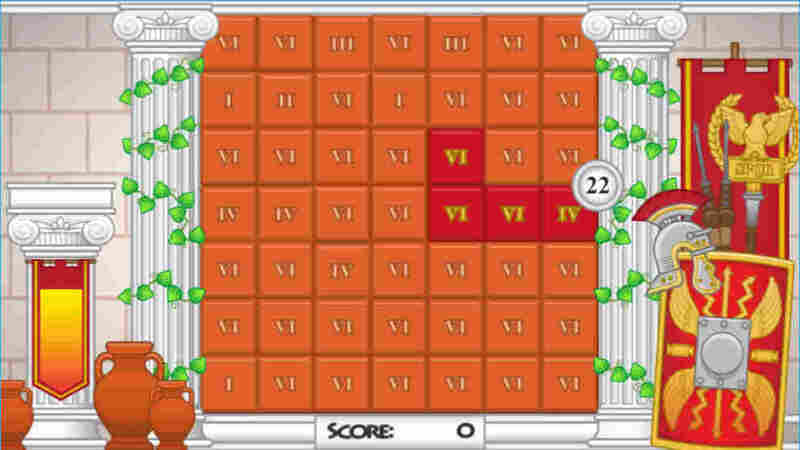 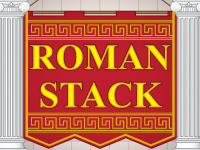 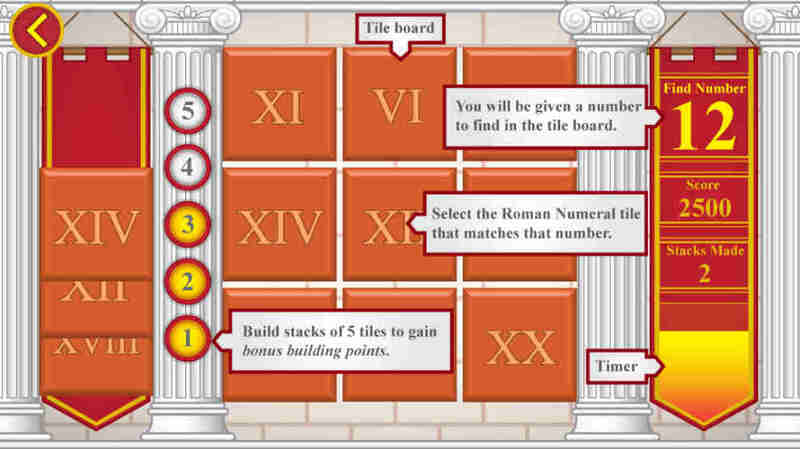 Players need to find the correct Roman numeral tiles and build as many of the given terracotta numbers. 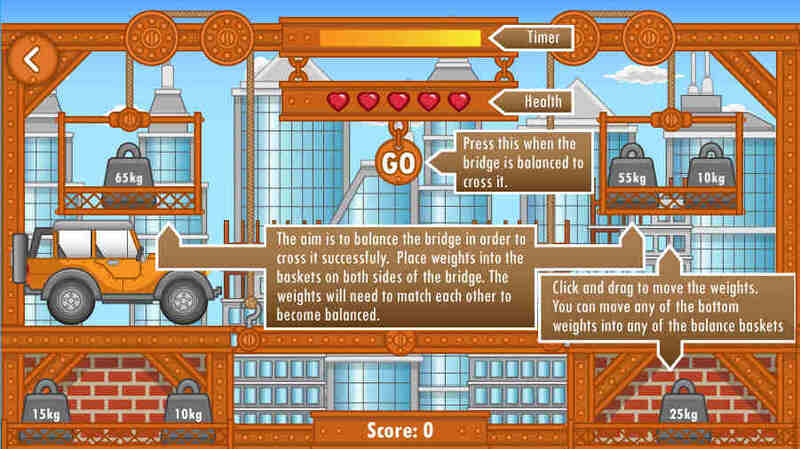 The stacks built will later be used for complicated calculations. 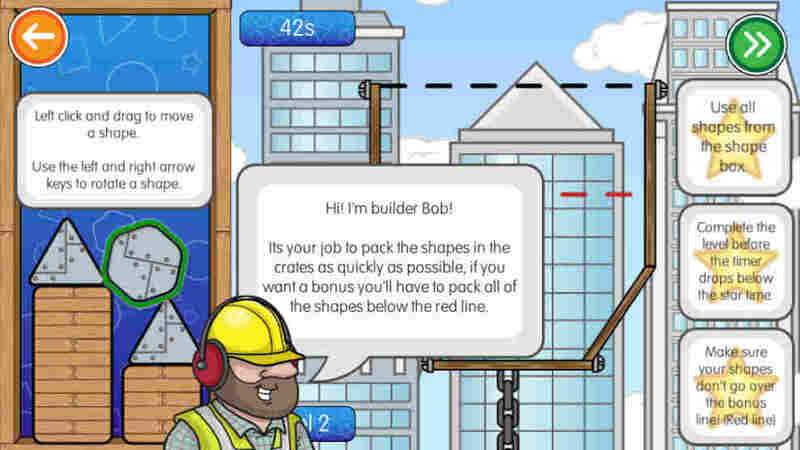 Construction of a new building is under way. 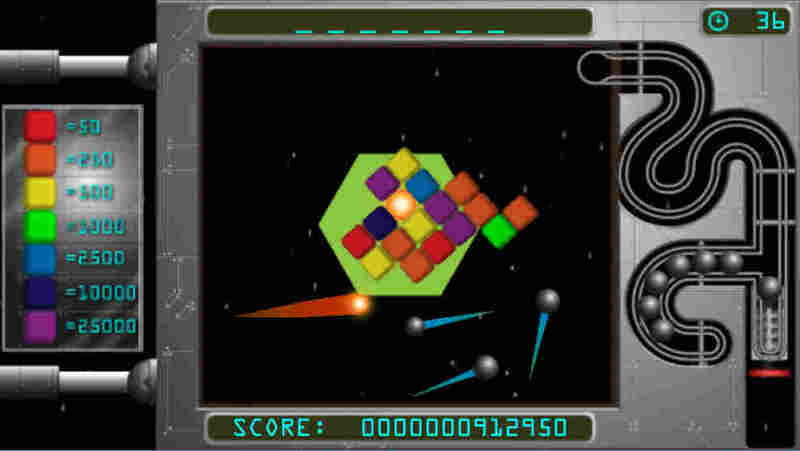 Players must fill the crates with the shape materials given. 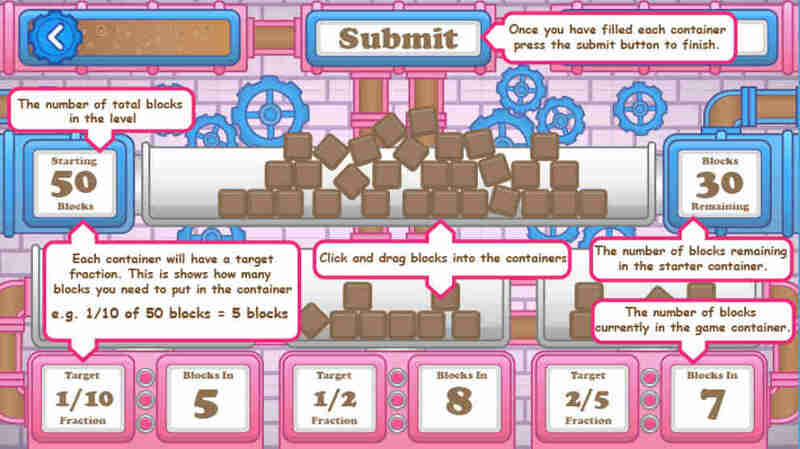 All of the shapes must fit in the crates so the lid fits on therefore all of the shapes in the crate must fit under the fill line given. 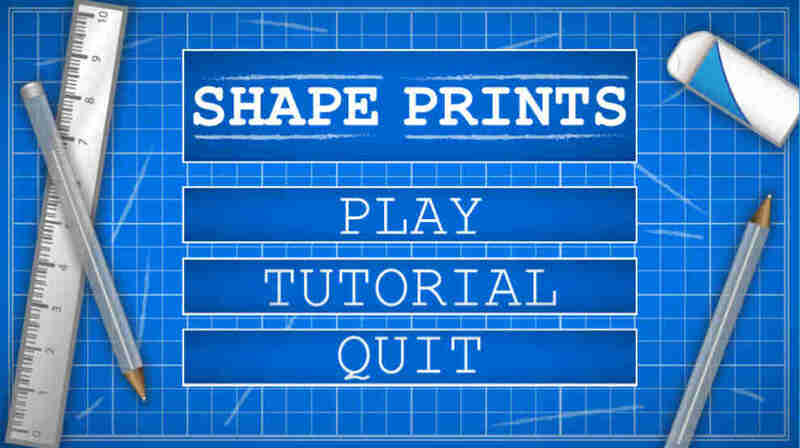 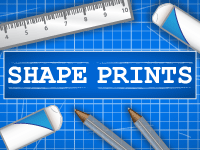 Shape Prints is a basic identification game. 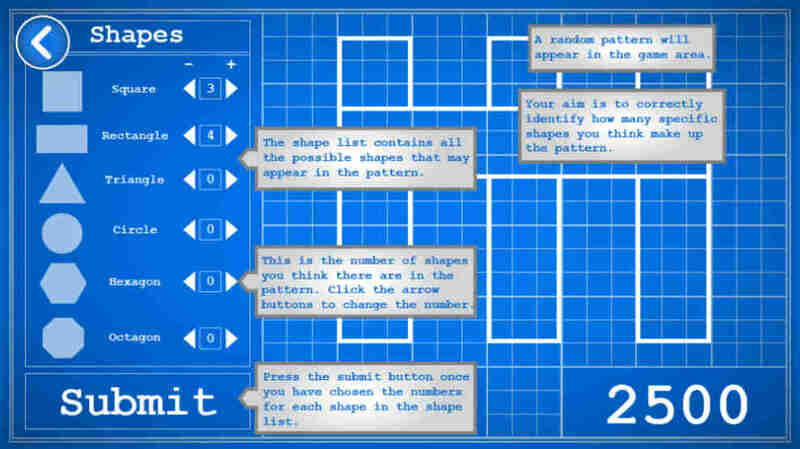 Players will be given a number of pattern blue prints and your task is to identify the number of different shapes are in the patterns before the prints are moved on. 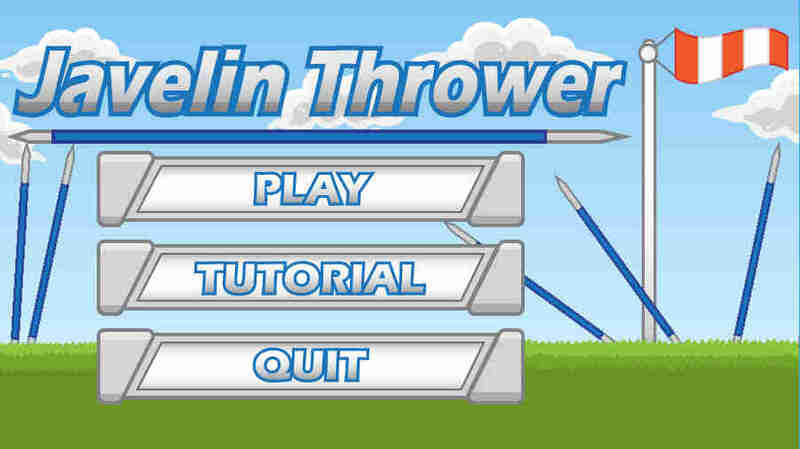 Crossbows at the ready! 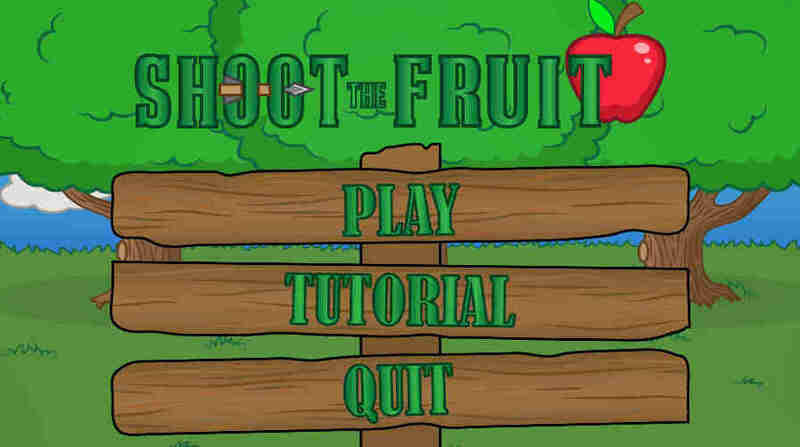 Players can test their maths skills in this fruit shooting game. 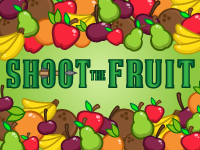 Complete the given sums by shooting the fruits with the answer on. 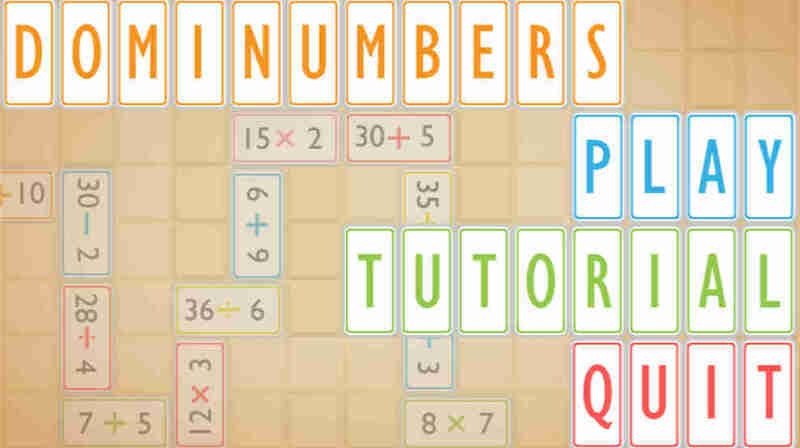 Test your sum skills with this simple game. 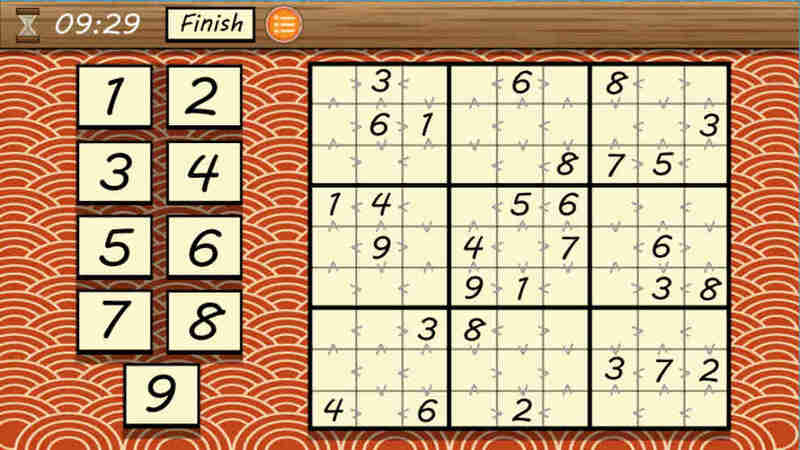 You will be given an incomplete sum where the operators are missing. 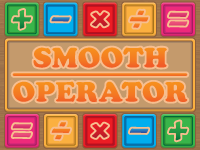 Players must place the correct operator in order to complete the sum and increase points. 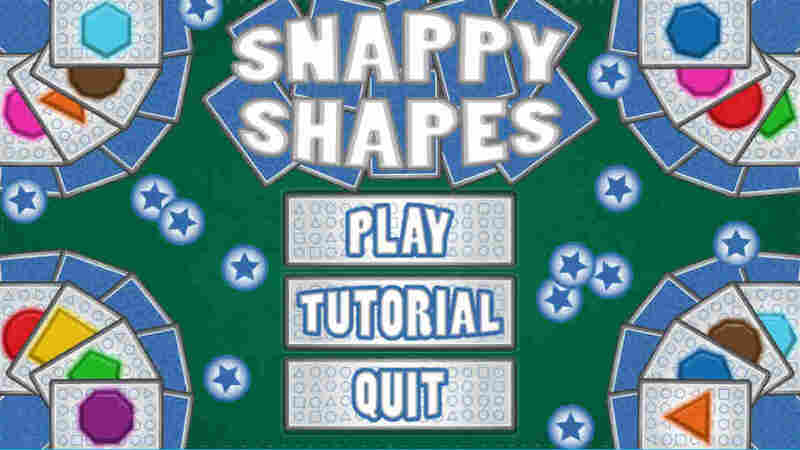 Snappy Shapes is an easy to play card game based on the classic game of snap. 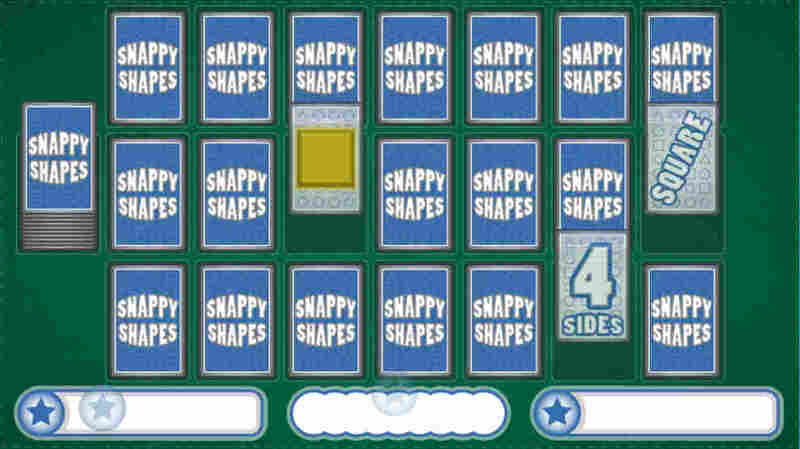 The cards played are linked to specific shapes and each shape has 3 unique cards linked to them. 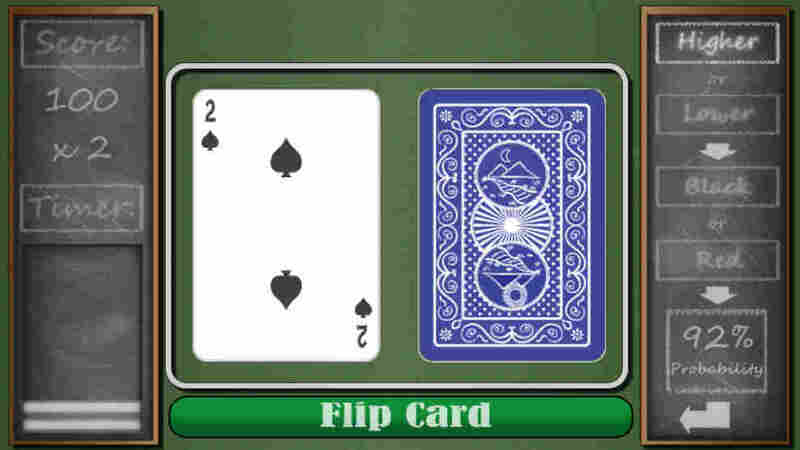 Players need to match the cards by their name, image and number of sides. 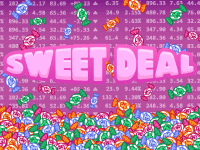 The sweet exchange is ready for business. 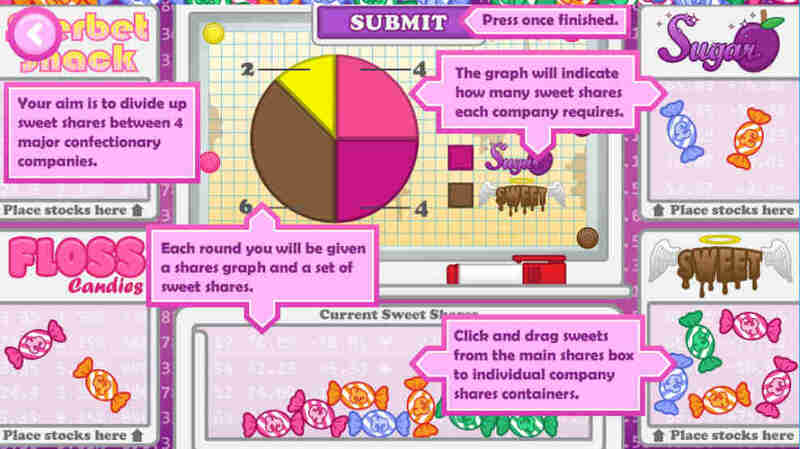 Using a variety of graphs, players need to correctly divide up your shares between the 4 major companies. 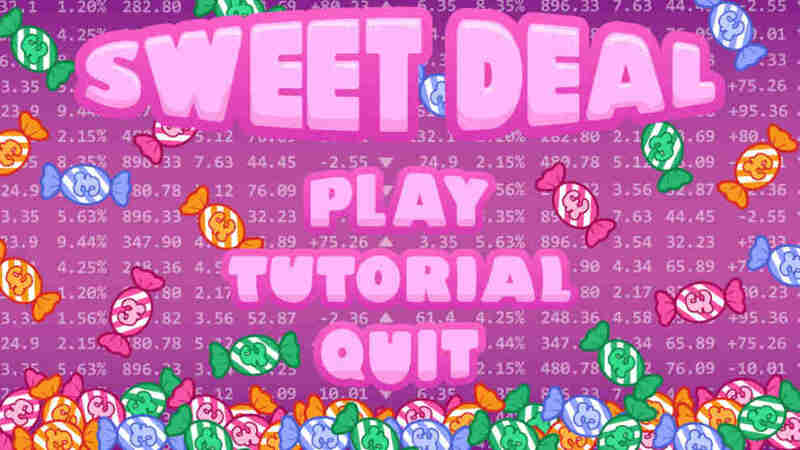 Sell as much as possible and make yourself a sweet deal. 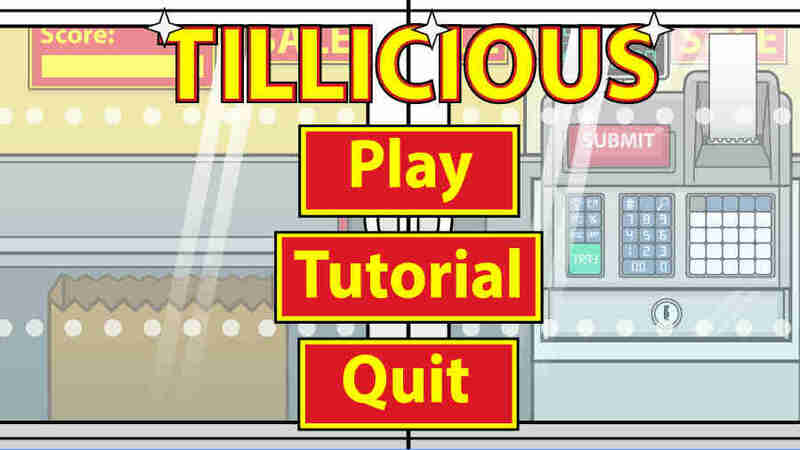 Play as a new employee at the Tillicious super store. 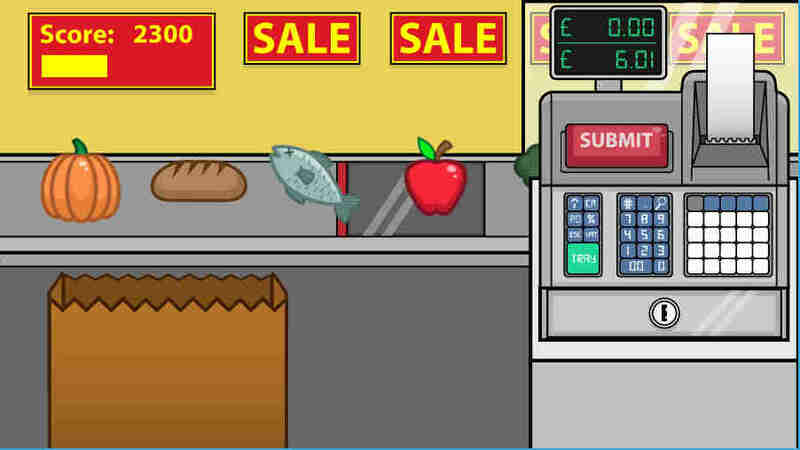 The job is to man the till during the busy period of the store. 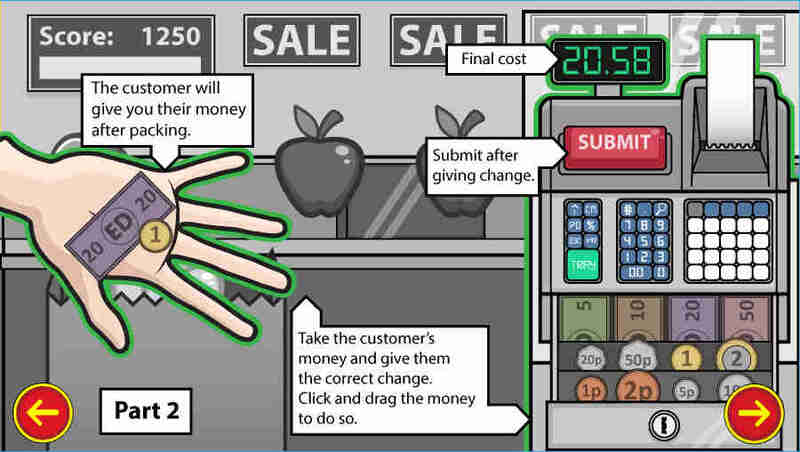 Players need to pack customers shopping, handle their money and give the correct change. 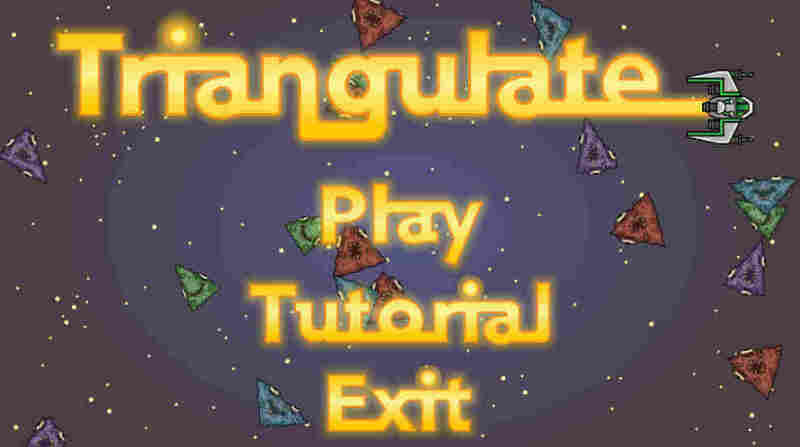 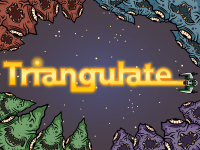 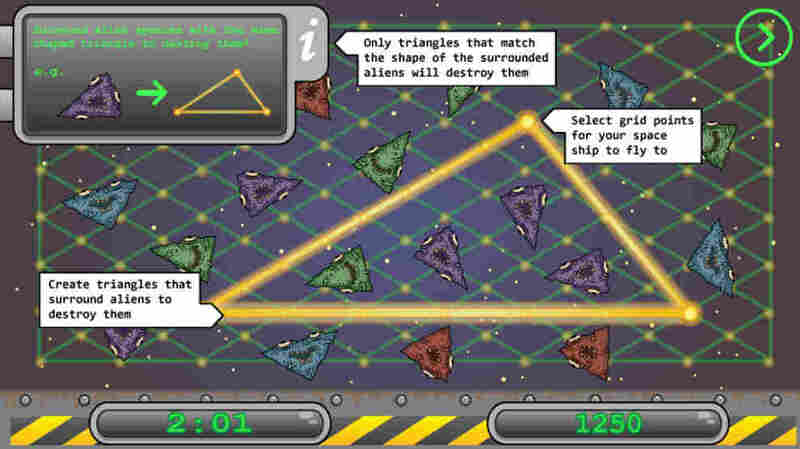 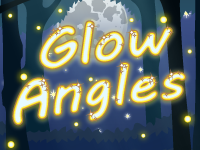 Players are tasked with getting rid of the alien triangles. 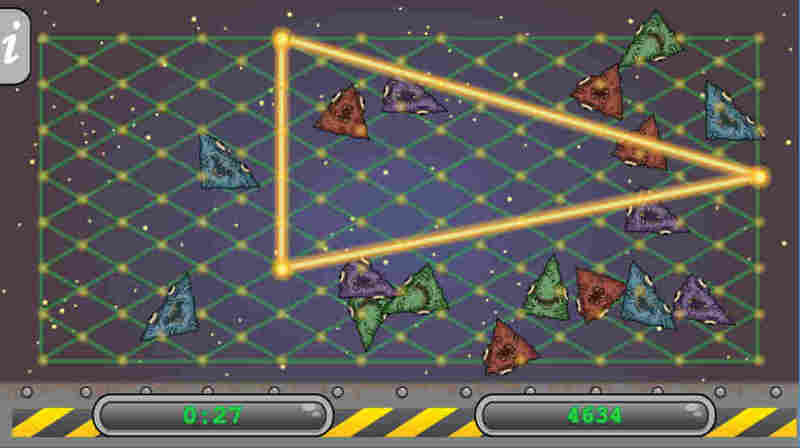 To do so they need to create specific triangular portals around them which match their triangle type. 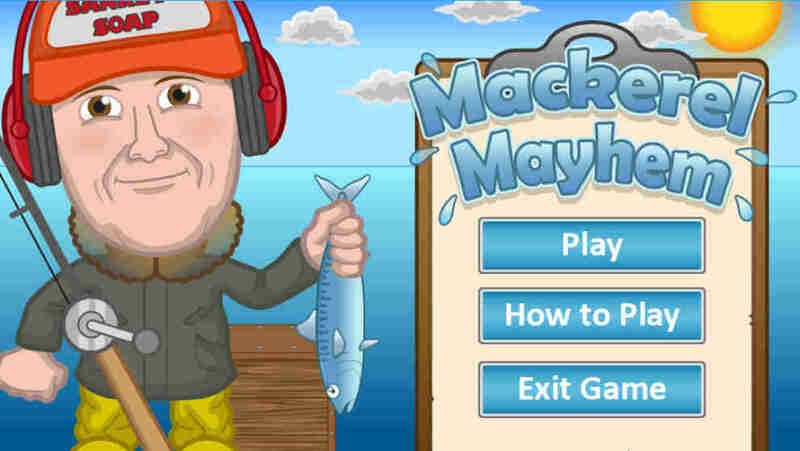 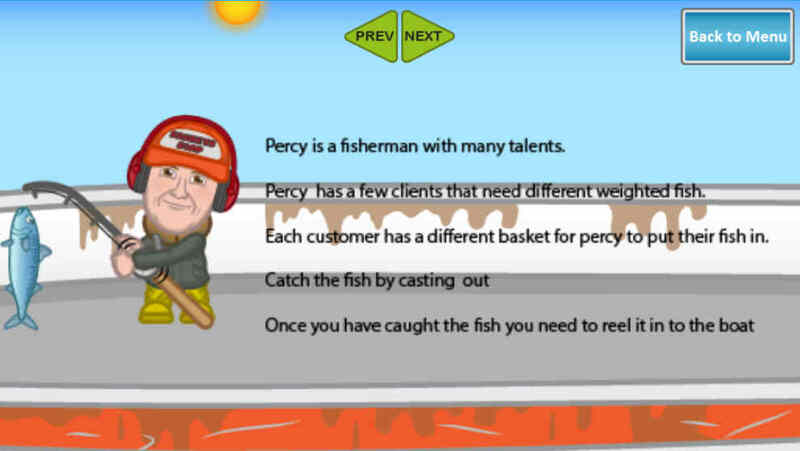 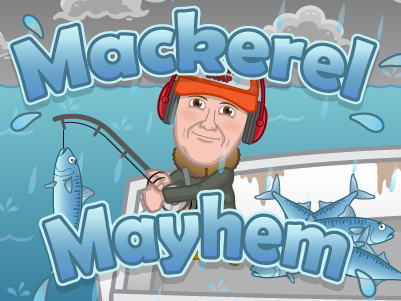 Play as a fisherman and catch fish of many different weights. 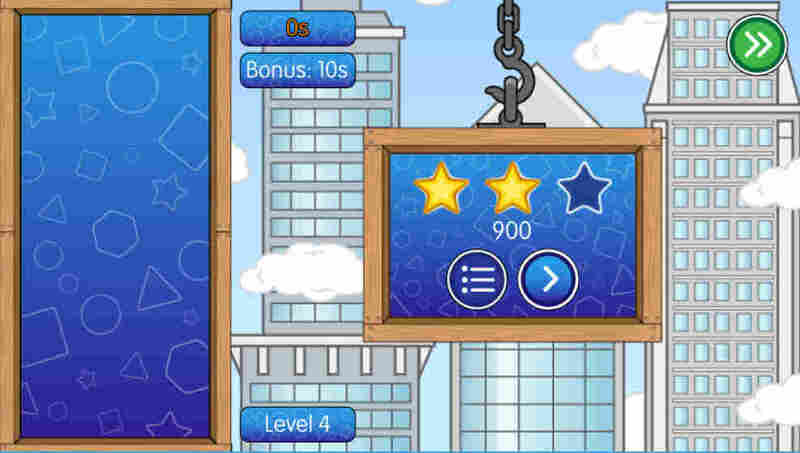 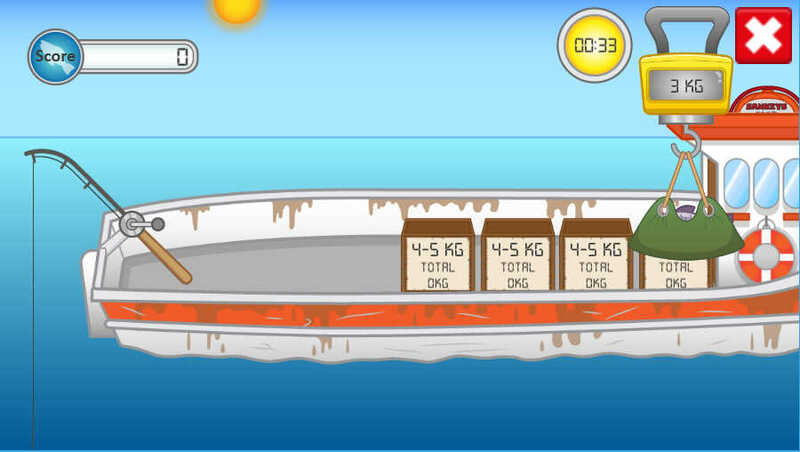 Throughout the game you will need to weigh the fish then put it in the correct crate. 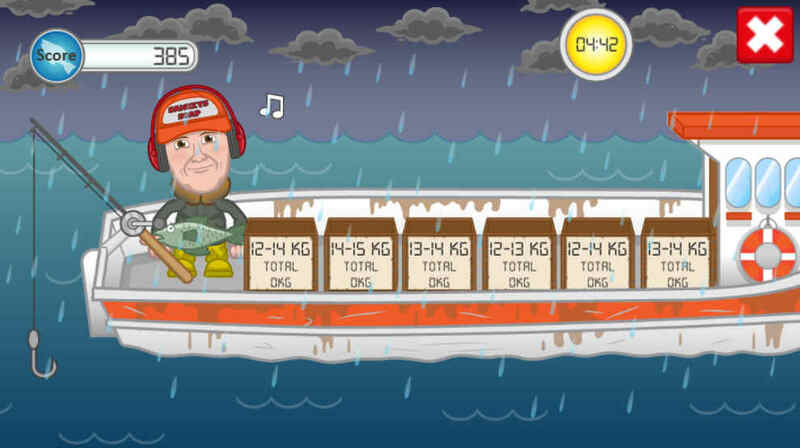 The weight on the front of the crate is the maximum capacity that will fit in so think hard on which to put the fish in. 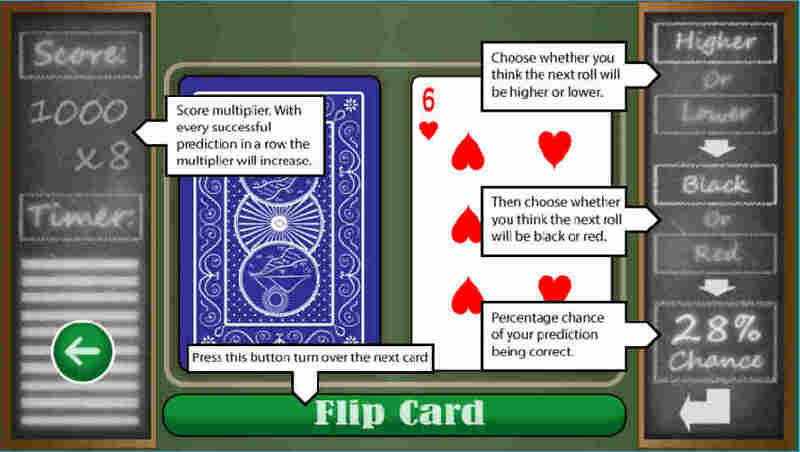 Test probability skills in this simple prediction card game. 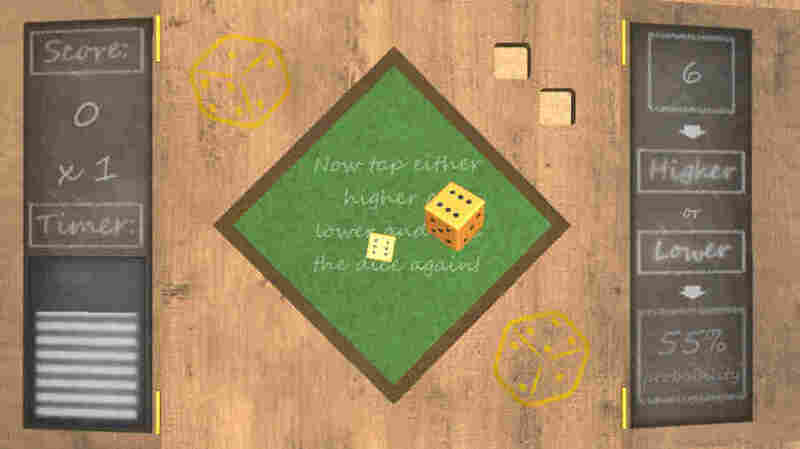 Higher or lower and change your colour. 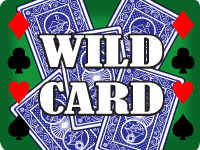 Players challenge is to successfully predict what type of card is going to be next.